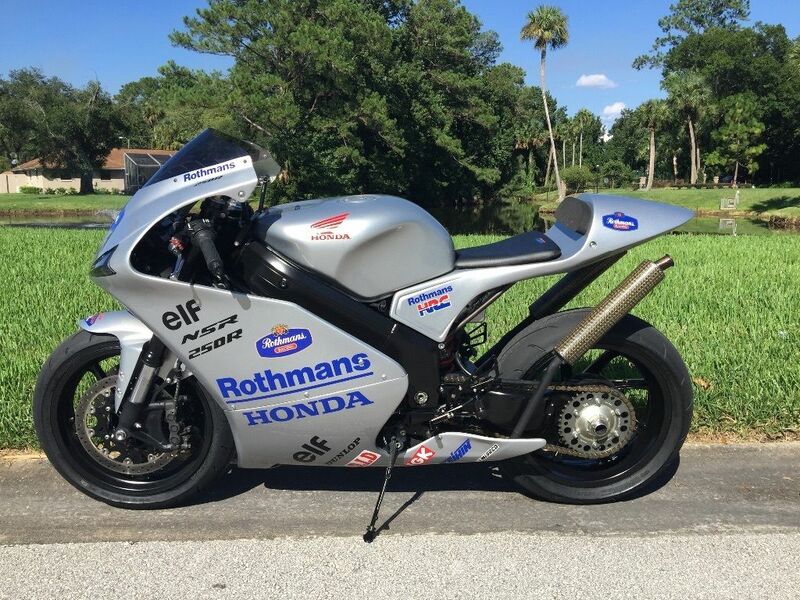 Many two-stroke fans would've been thrilled to locate and federalize the last generation of a small-sports dynasty - an MC28-spec Honda NSR250R-SP. 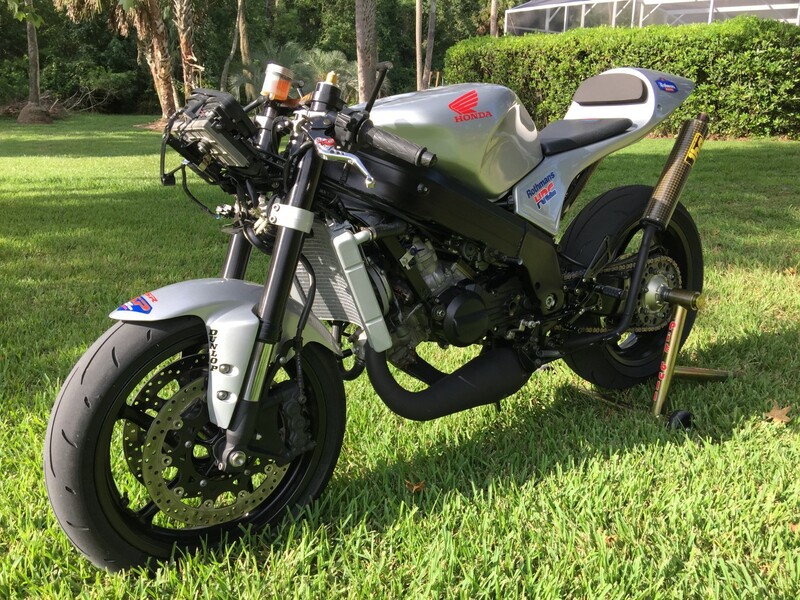 But this Florida owner has re-imagined the NSR 250R with blueprinted engine, Yamaha upside-down front end, and full Tyga fairings. The updates were part of a frame-off restoration, with most parts being re-finished or upgraded. 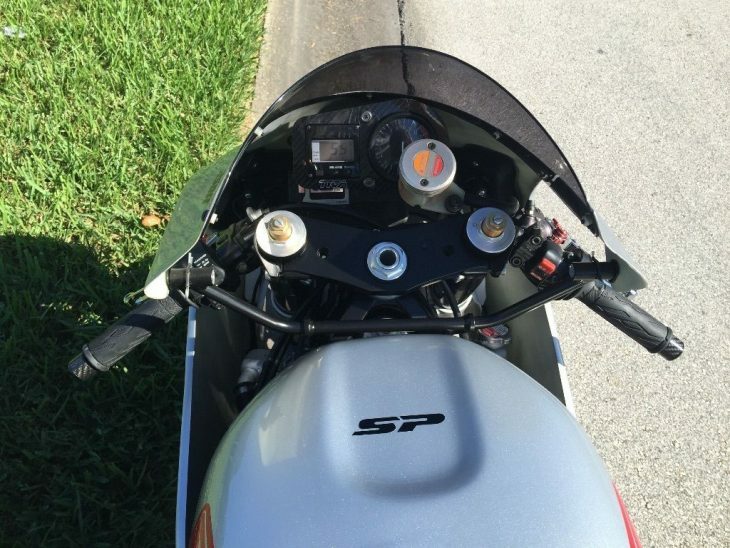 Though it appears destined for the track, the bike is titled in Tennessee and could be made road-ready. Built just 1994-96 and never available in the states, the 60 hp v-twin was a significant revision to the previous MC21 with ProArm single-sided rear, digital dash, and PGM IV electronically controlled ignition. 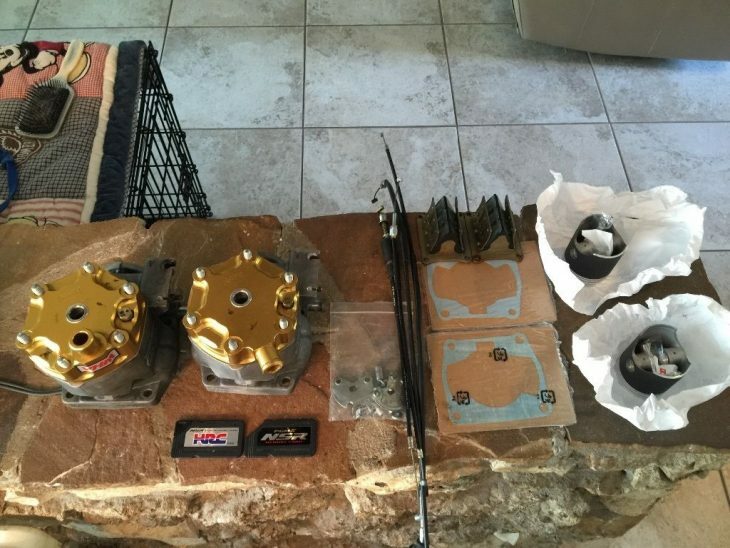 The aluminum box frame and dry clutch helped keep weight to 300 or so lbs. 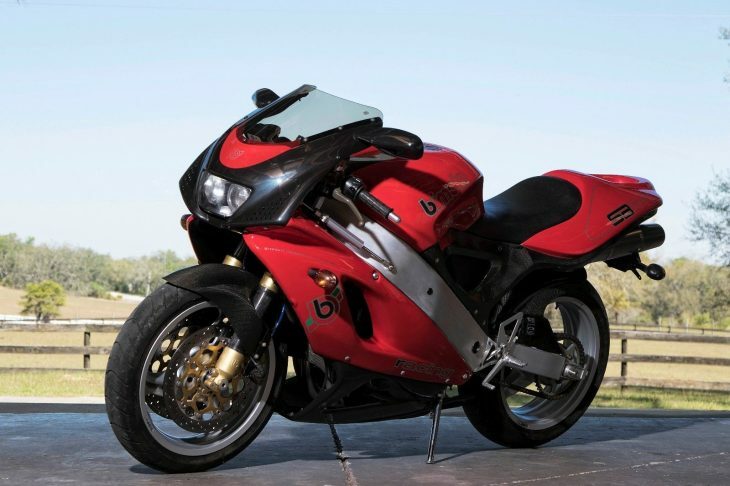 The NSR250R reviewed as a razor-sharp handler which required a skilled rider to keep the momentum high, using the great brakes, on-off engine, wild available lean angles, and no engine braking. The build for this NSR reads like a catalog page from Tyga, a Thai-British manufacturer and tuner. 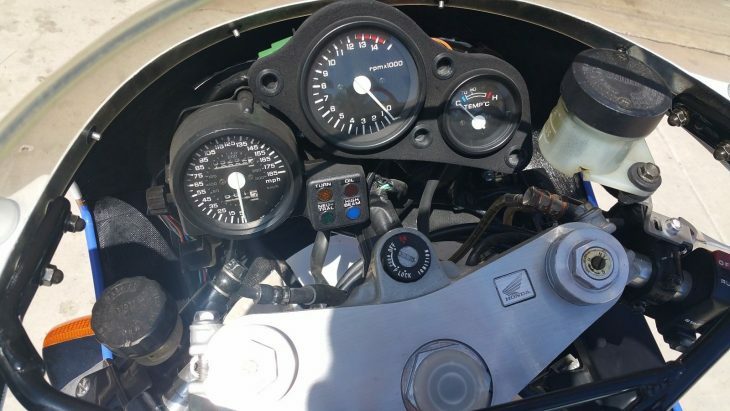 De-restricting the engine using PGM-IV requires a "racing" card and wiring harness, the owner has both, as well as modified airbox and lightened flywheel. 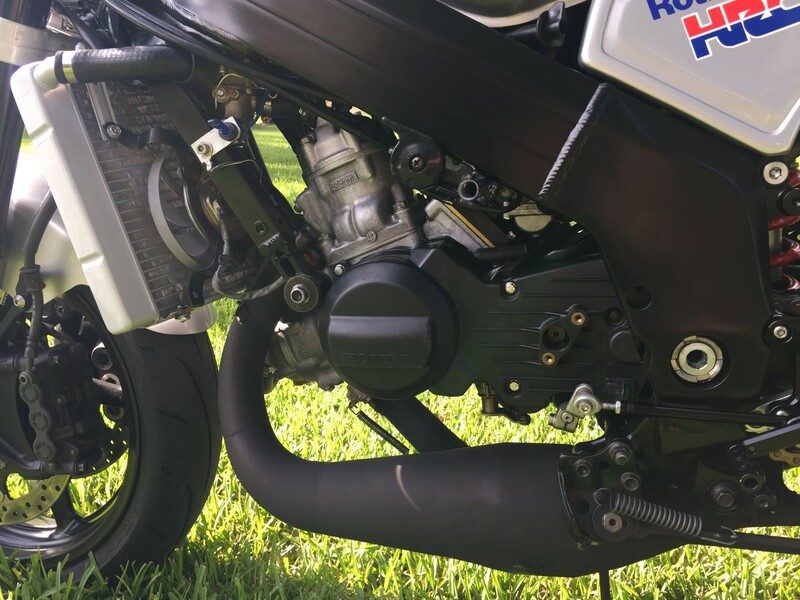 An expansion chamber and carbon-kevlar mufflers from Jha have been installed. 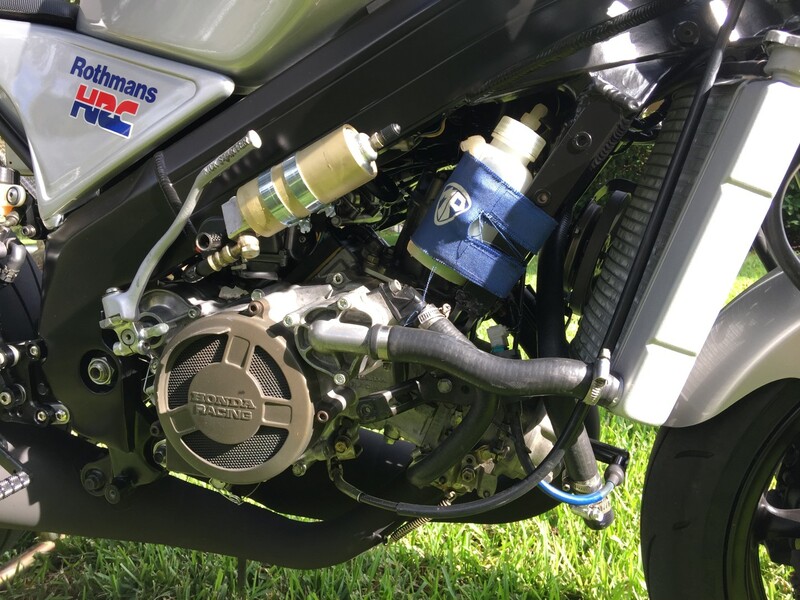 A more modern Yamaha front suspension has been installed, with 6-piston brakes. 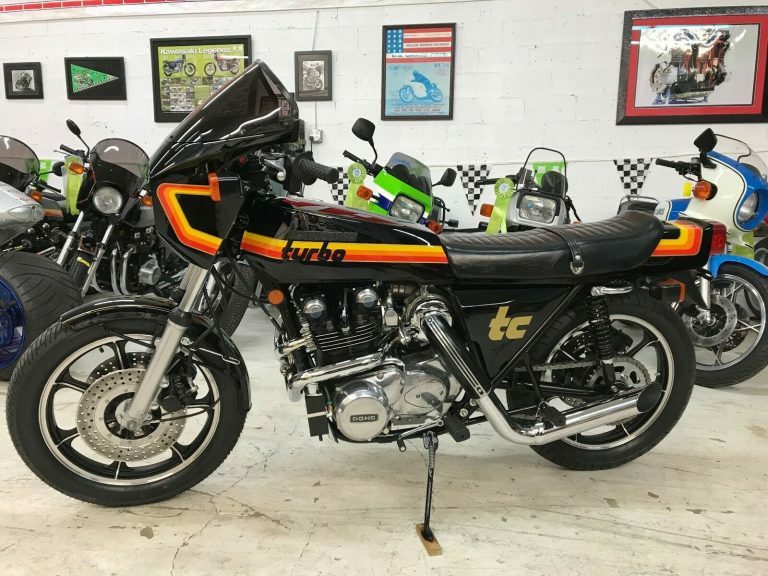 The full Tyga bodywork has been tastefully painted and stickered so as not to compete with the sound of the dry clutch and 13,000 rpms. 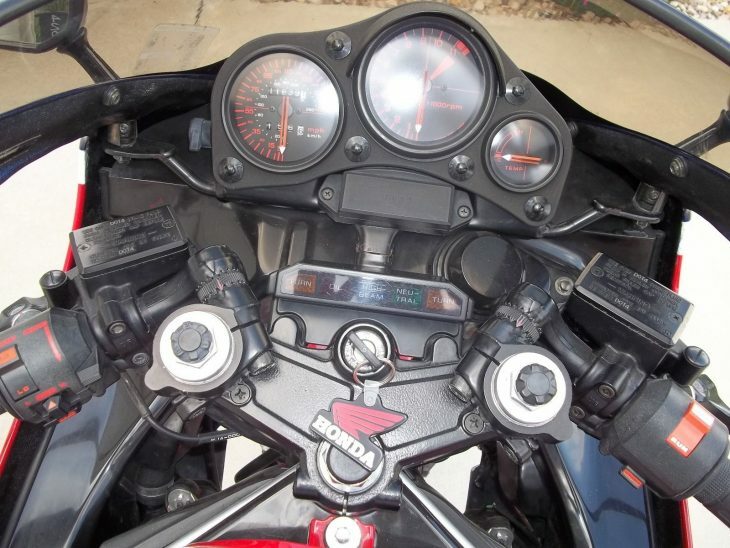 Also included is a 300cc engine kit, a substantial power increase. Hoping to jump into the budget-conscious supersport market, Yamaha developed the TRX-850 twin and introduced it in Japan and Europe. 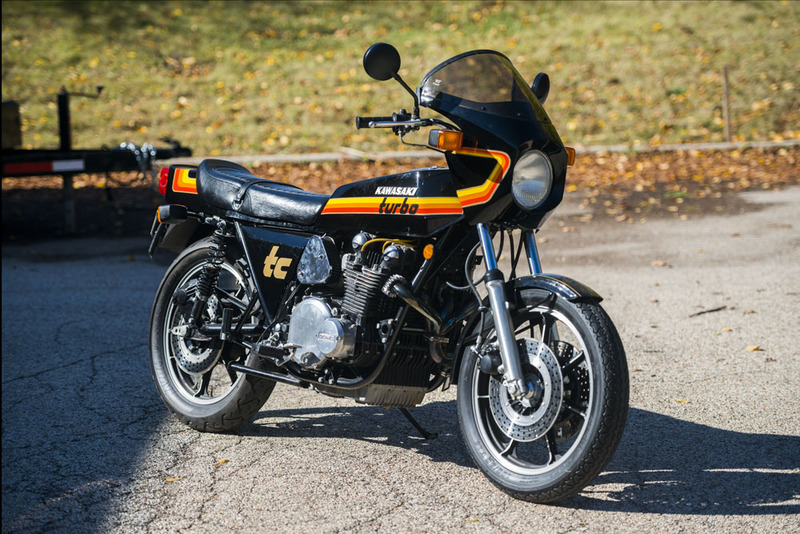 Slow sales kept it from a long history and the U.S., but this private import is a nice example of an interesting bike. 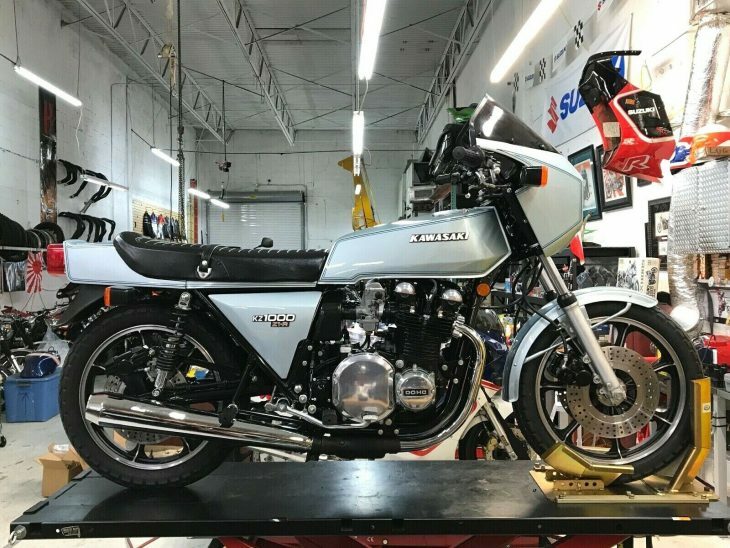 Adding the Genesis 5-valve heads to their 849cc parallel twin resulted in 80 hp, and engineers also went to a 270-degree crank design to preserve rotational energy. A good illustration of how it widens the torque band ( and why a counterbalance shaft was included ) in a parallel twin is here. 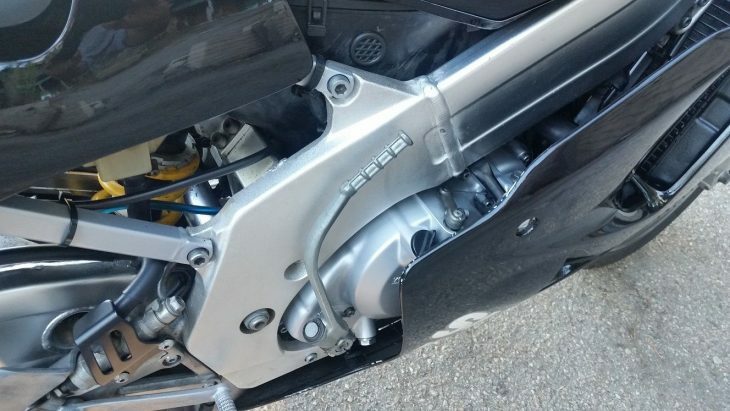 The engine also boasts a dry-sump system with a neat integral oil tank just above the clutch. Beside the nice trellis frame, there was a bit of parts-bin engineering, with right-side-up forks and 5-speed transmission. 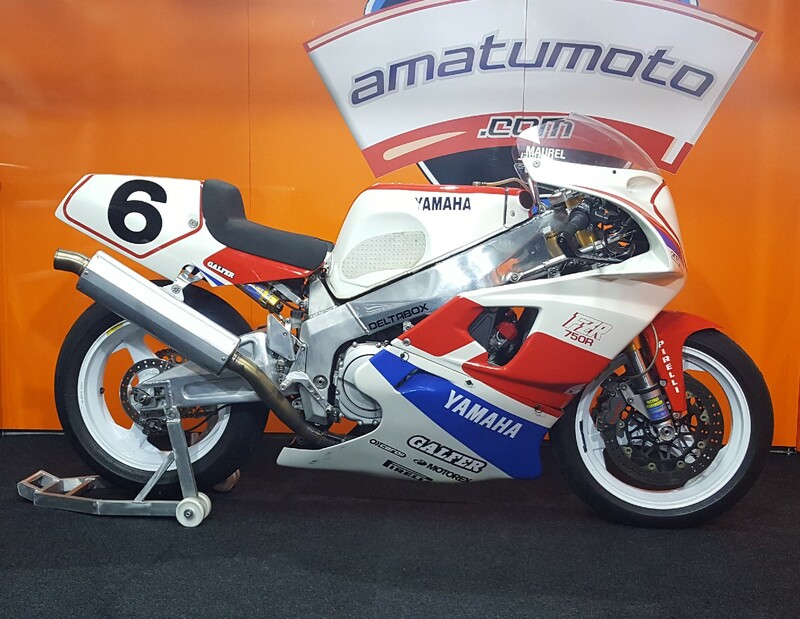 Peculiarly, the European models came with Yamaha brakes, but Japanese versions had Brembos, either way they are adequate 298 mm dual disks in front and 248 mm rear. 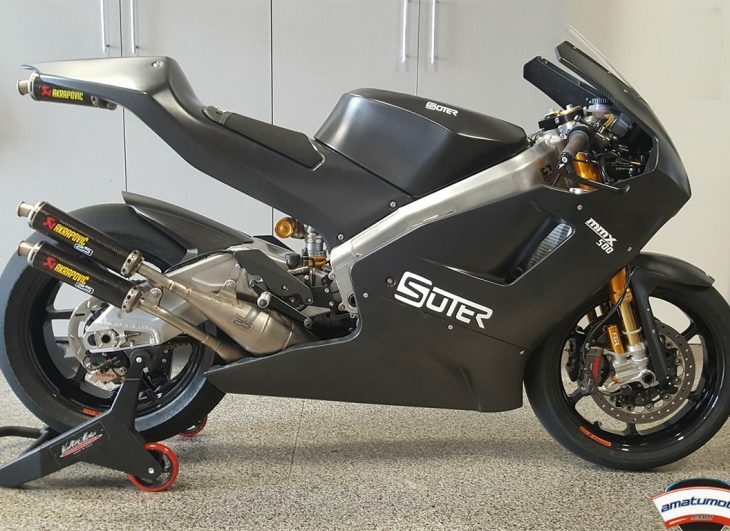 The supersport picture is completed by an upper-only fairing and solo-plus-one seat fairing. 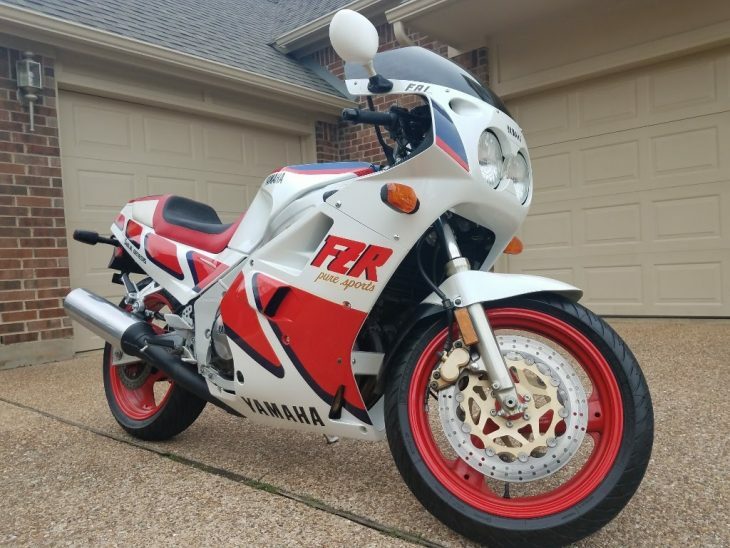 1996 Yamaha TRX-850, these bikes were never imported in the US, I bought this bike in England and shipped it here. As far as I know this is one of only few or only one here in the states! 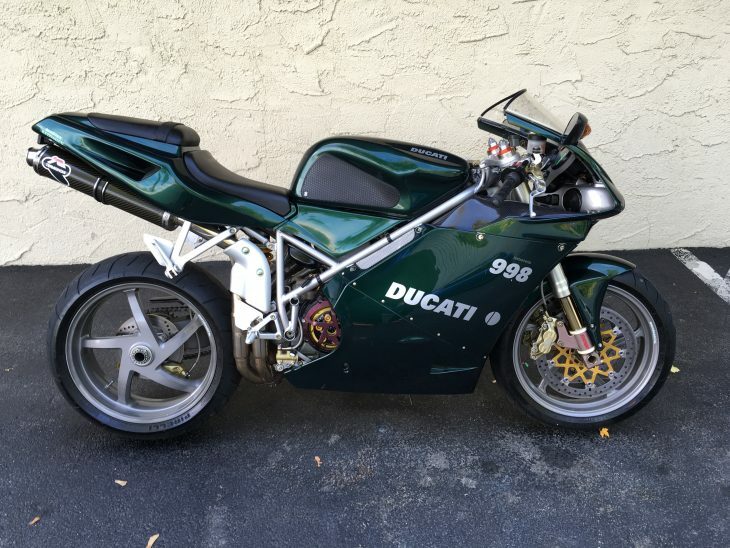 They were only made for a couple of years, as competition for the Ducati 900ss. 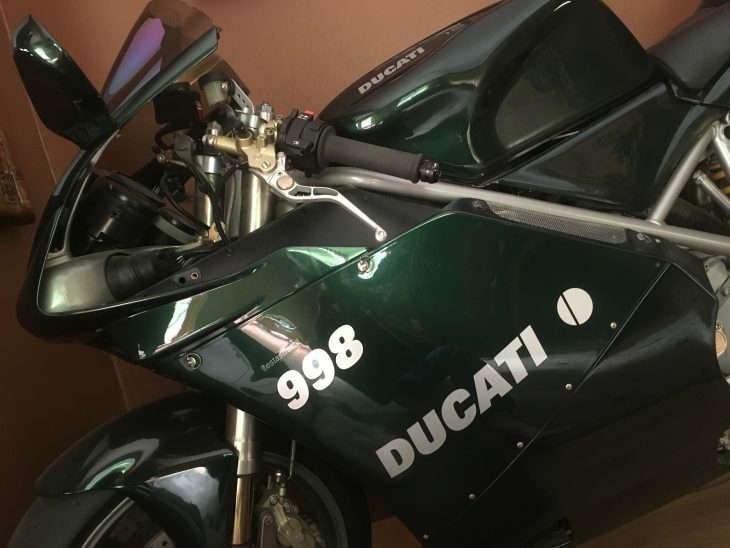 It has a 270* crankshaft so it even sounds like a Ducati v-twin, a trellis frame, and hand made gas tank that resembles a Ducati. The engine has 2 oil pumps,5 quart dry sump oil tank, and is liquid cooled also. It is a Genesis engine with 10 valves, 5 per cylinder. 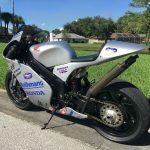 New Michelin tires, braided stainless brake lines, EBC carbon fiber clutch, adjustable clutch and brake levers, belly pan, tire hugger, Carbon dash and clamp covers, R6 shock, R1 calipers, 2 windscreen (1 new-1 used), LED tail-light with signals, silicon water hoses, and Stainless steel header with Remus carbon mufflers. 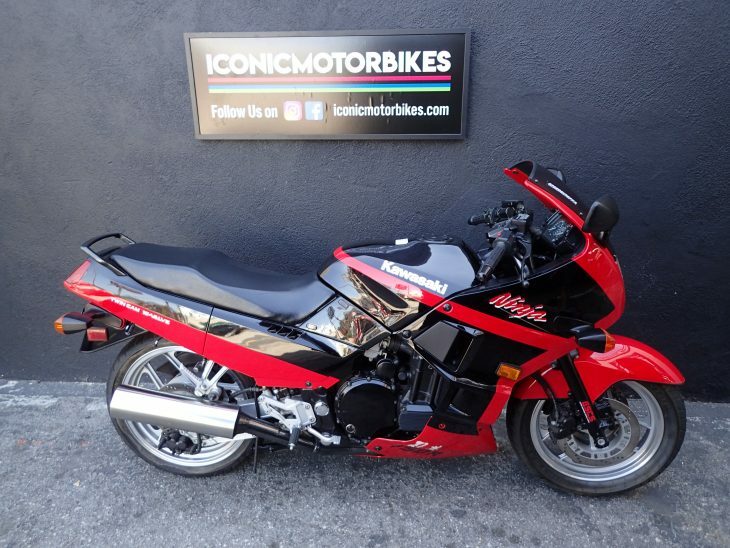 Look, just to be clear: if you’re in California, you’re not getting this bike. The seller is most emphatic on that point. See below. 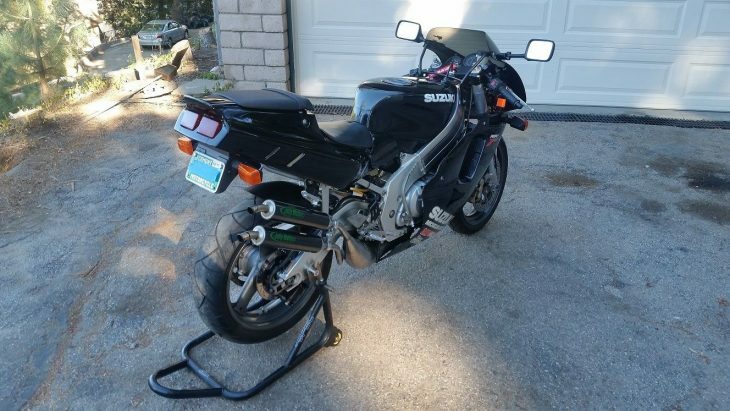 It’s not that it’s completely impossible to find or to title a grey-market import Suzuki RGV250Γ in California, it’s just that you’re not getting this particular bike: apparently the seller tried but didn’t grease the right palms, or use the right combination of ancient incantations, so Title Compliance Overlords in Sacramento sent him a letter, clearly informing him he could not sell the bike to a CA resident. 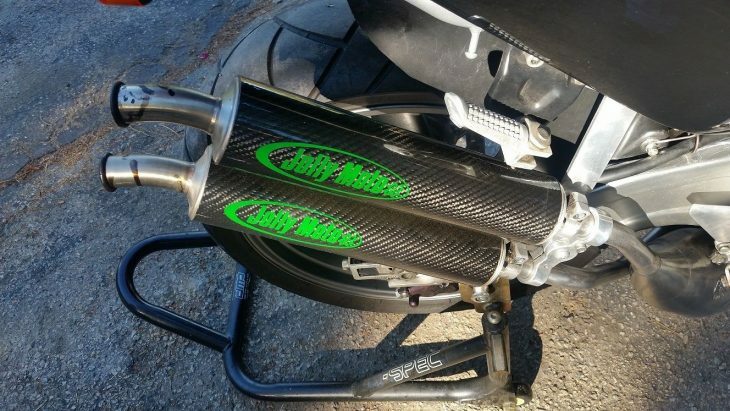 Bummer, but all you Golden State residents need to look elsewhere for your two-stroke fix. 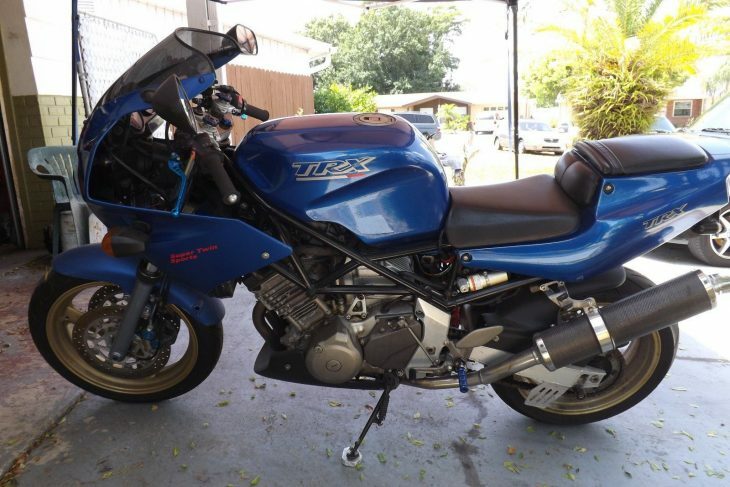 “But, but… I just wanted it as a for off-road-use-only track bike!” Sorry, buddy: you’re boned. 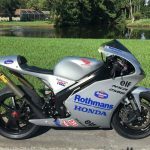 But what’s the big deal with the RGV250 anyway? 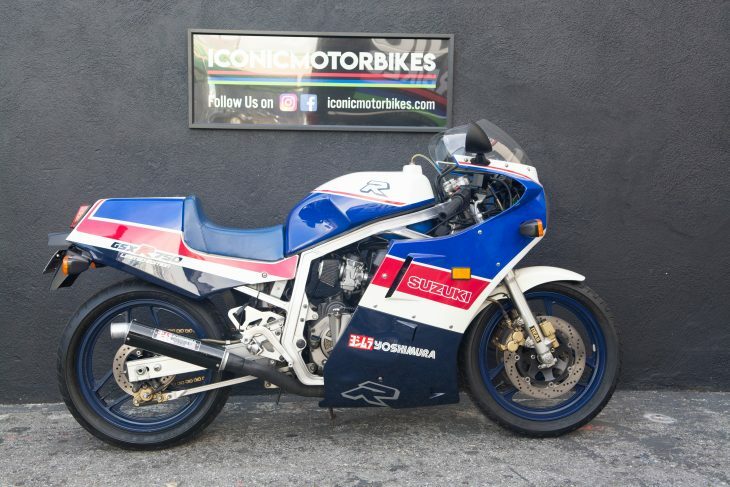 Well, if this is your first time visiting Rare Sport Bikes for Sale, the RGV250 Gamma was Suzuki’s entry into the hotly-contested and not-available-in-the-USA quarter-liter sportbike class that saw 249cc two-stroke twins battling for supremacy on track and in showrooms throughout the 80s and 90s. 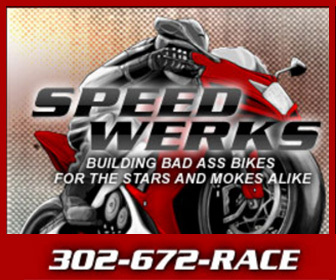 The bikes all featured cutting edge performance and technology, but with additional smoke and a lawnmower soundtrack. 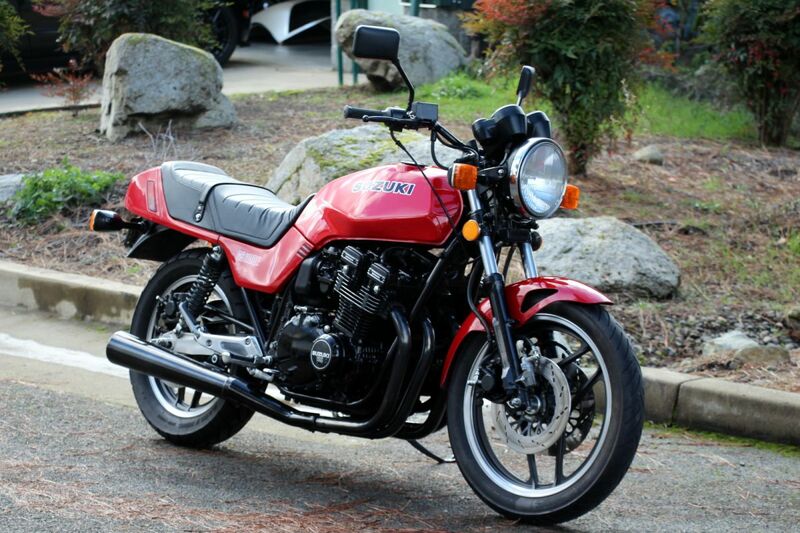 Lightweight aluminum frames, six-speed, sometimes cassette-style gearboxes, high-strung powerplants, and electronic trickery were the order of the day, and Honda, Yamaha, Suzuki, and even Kawasaki all had bikes in play. 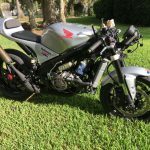 Although Honda was the gold-standard in terms of quality and innovation, Suzuki was the wild man of the bunch and it says something that Aprilia cribbed the RGV’s powerplant for their RS250. 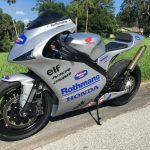 Probably just that Suzuki was willing to provide them for a good price, but still: it’s a simple, powerful engine with endless tuning options, although by reputation it's more fragile than the Honda NSR's unit. 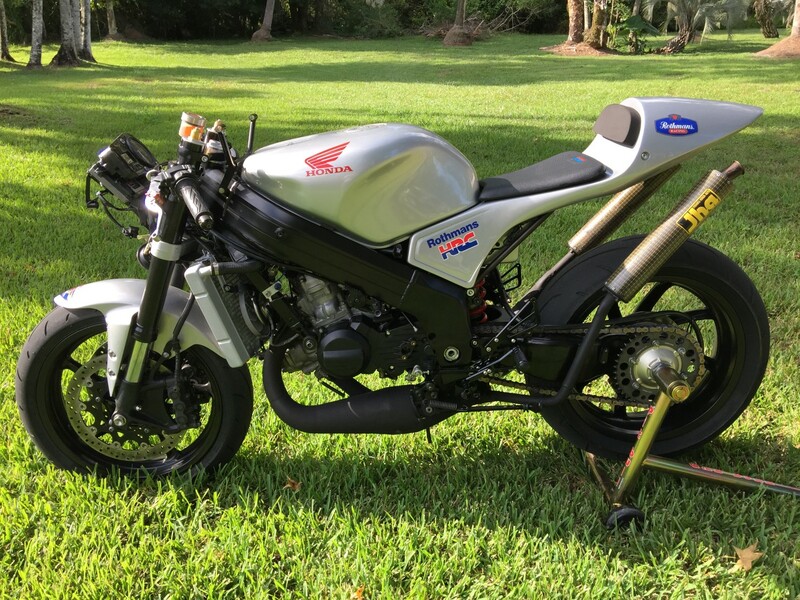 This VJ22 model seen here is distinguished by that classic “banana” swingarm that curved upward on the right side of the bike to allow the exhaust’s expansion chambers to tuck up close to the bike. 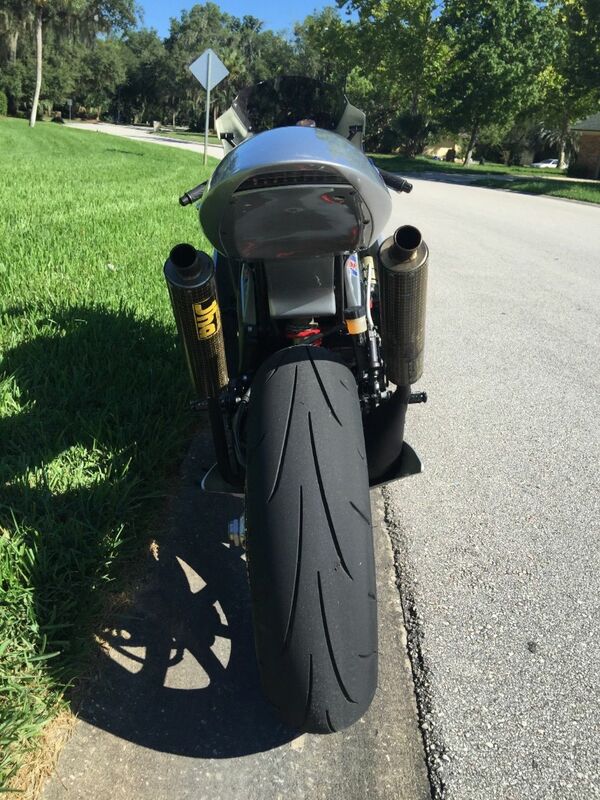 It added weight but looks super-trick and should increase cornering clearance. 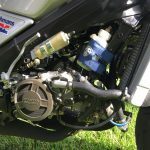 Suzuki's "Advanced Power Controller” power-valve controller and was introduced to the Gamma in 1991 and helped boost midrange power. 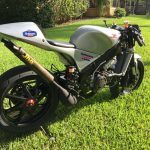 The 60hp the seller claims the tiny v-twin produces is completely believable and, although that may not sound like much at first, keep in mind that the RGV250 weighs in at under 300lbs dry. 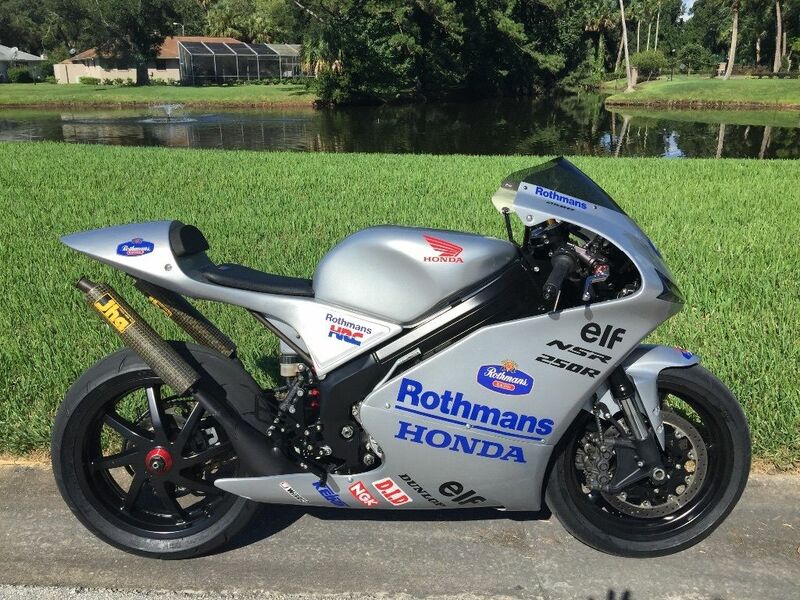 This is a clean RGV250 VJ22 without the usual corrosion that so many of these import bikes have. I bought this about 18 months ago and did my best to try and title in here in CA. After 6 months of trying I realized that it's not possible to title this here. It's registered in Vermont and I just renewed it in August. 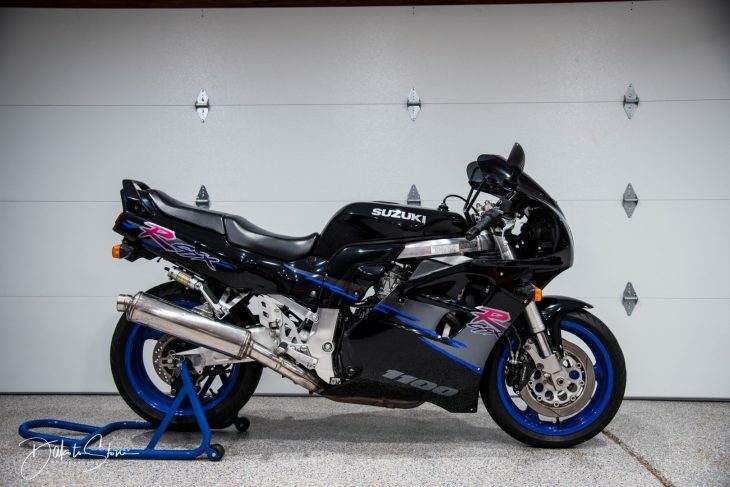 Since it's not legal here to ride it just sits in the garage. 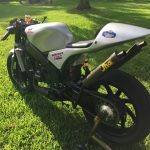 A few months ago I bought another RGV250 that was titled for a very long time in CA. 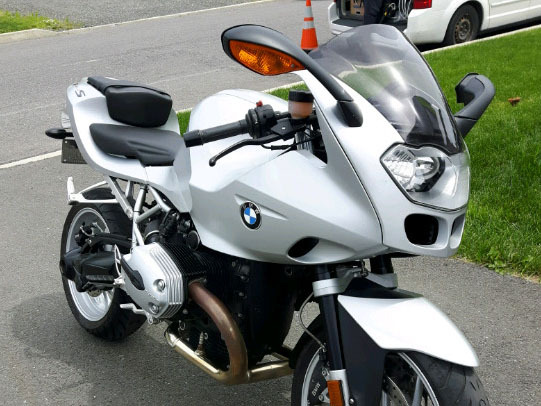 so I finally have one to ride. 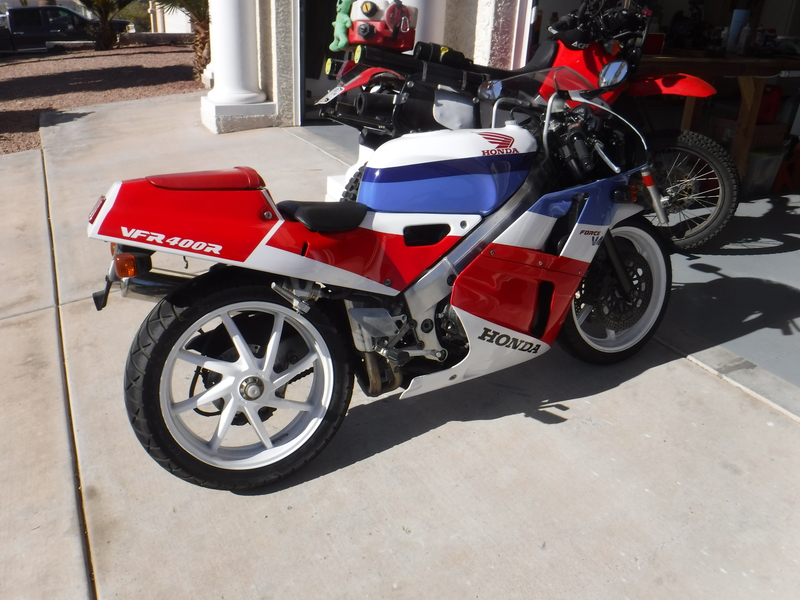 I swapped the bodywork that I painted, white wheels and exhaust and put them on my new RGV. 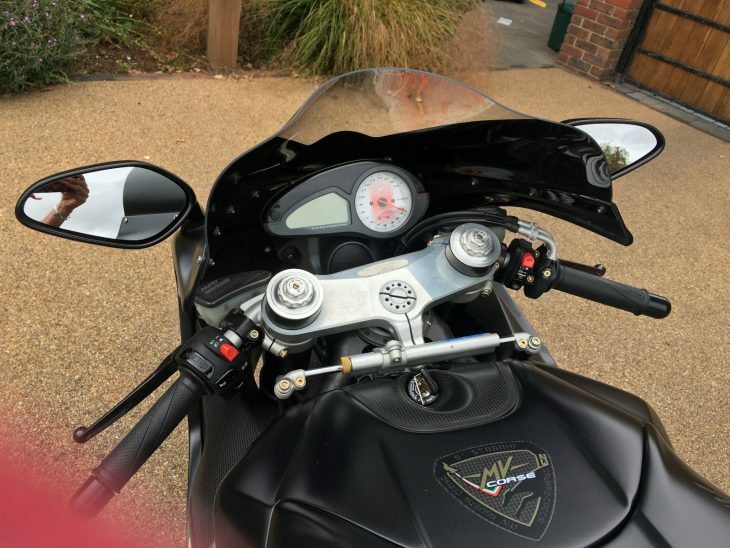 So as to the details on the bike itself. Just did the top end with new pistons and made sure the power valves didn't have any loose pins. 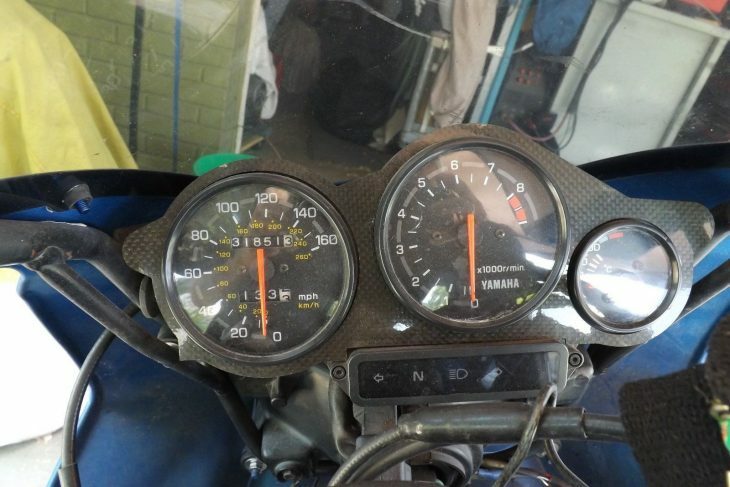 Bike has 32,000 km, motor has just under 17,000, km (about 10,000 miles) Starts first kick just about every time and oil injection is set correctly and working. 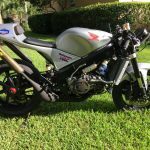 Bike has been de-restricted and has very clean 34mm carbs, full power 22D30 Power controller box and Jolly Moto chambers. OEM body panels that fit nice but have scratches here and there and a few minor cracks. I planned on painting this white with Pepsi decals but I need to spend what little free time I have putting a new roof on my garage before snow flies here. I live in the mountains at 6,250ft elevation and have not jetted this bike for this altitude. 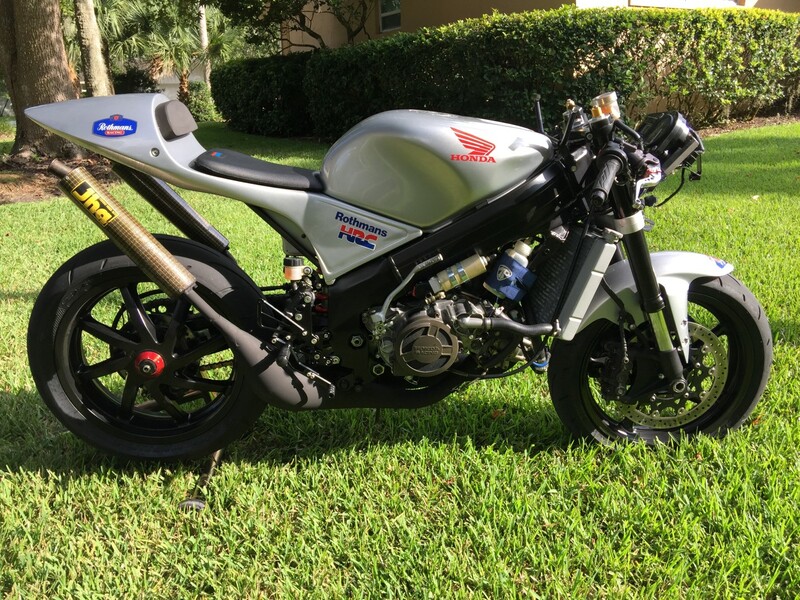 One my other RGV I had to modify the airbox lid for more air and jet down 2 sizes on the needle jets, mains, and go up on the air jets to get it to run right here. 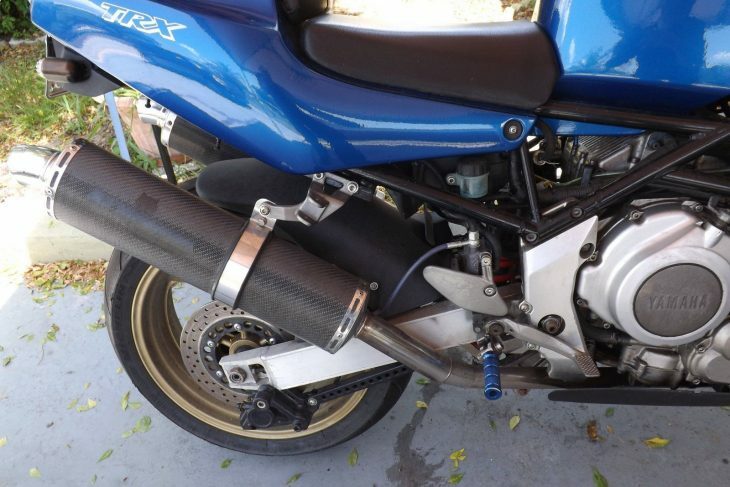 I didn't want to modify the airbox on this bike since it should work fine at lower altitude. 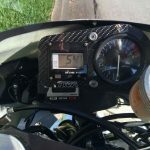 The first thing you will need to do is jet this bike for your altitude, I left the jetting on stock sizes. 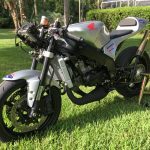 If you don't like tuning and working on your bike often, a RGV is not for you. When the weather changes your jetting that worked great before won't even be in the ballpark. These are bikes for guys that like to work on their bikes often, that's half the fun. The power valves are the weak point and it's best to run Cougar Red power valves that don't have the pin problem of stock valves. 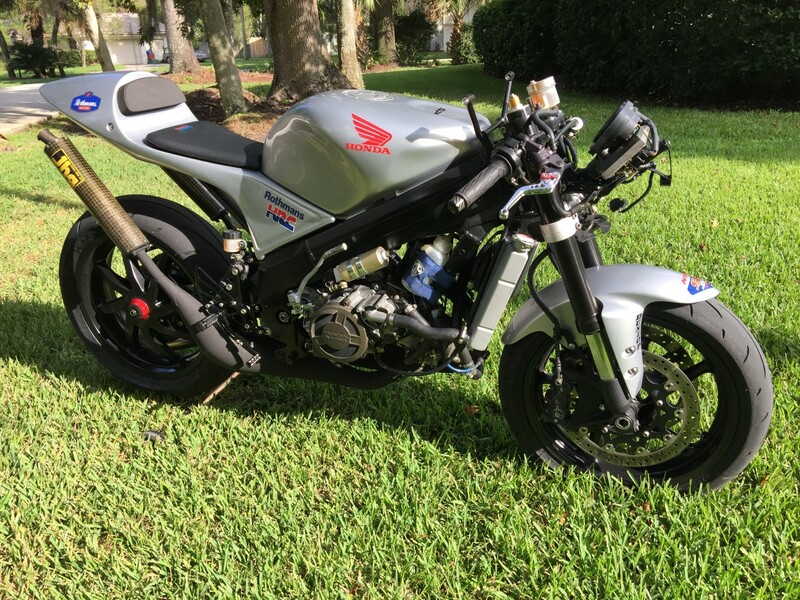 I run them on my other RGV and they even add a few HP too, Pricey at $500 but cheaper than destroying cylinders and pistons when a loose pin falls into the bore. 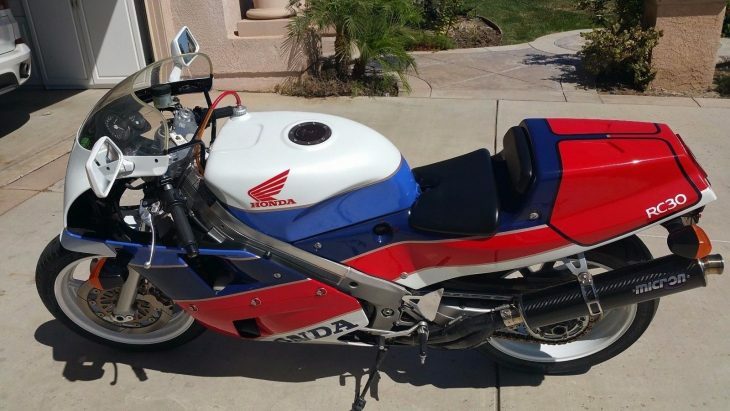 If you’re a CA buyer I can't legally sell you this bike. It's in the system and there is no way you can title it in CA I tried believe me. 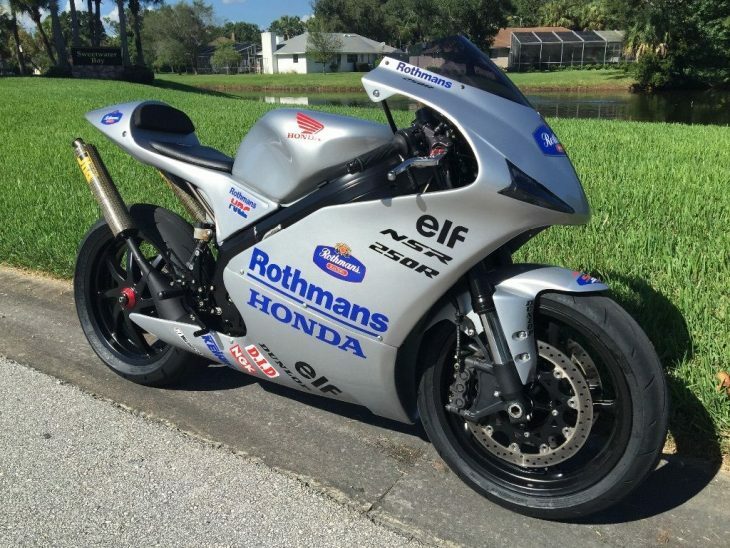 These bikes are starting to get imported here now that the 91 and older GP 250 replicas like this are 25 years old. There quite collectible and going up in value. 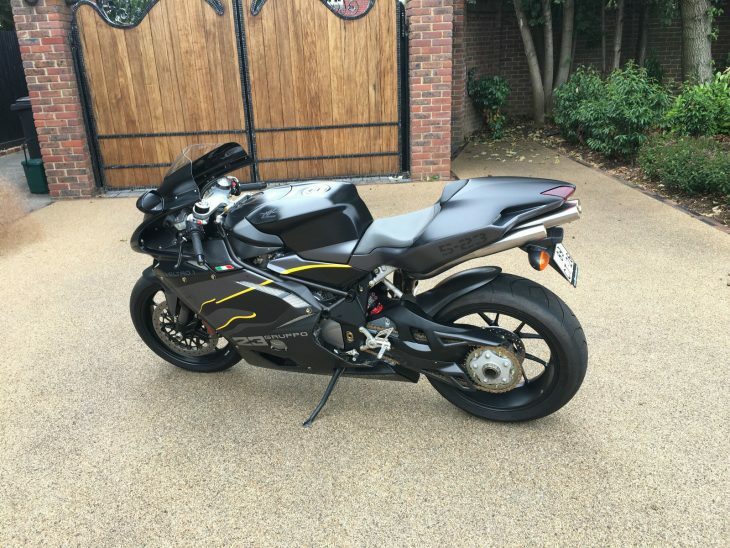 With a little work this bike can be super nice, no reserve so bid to win. 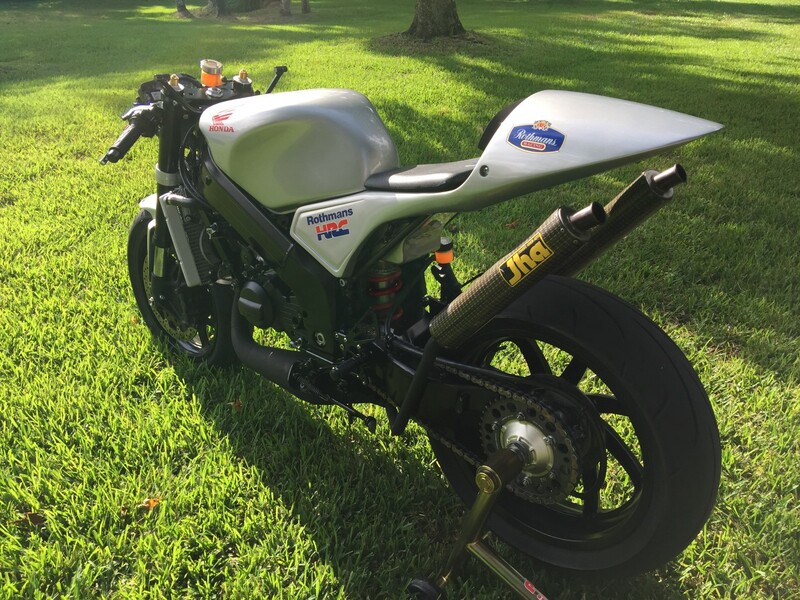 It looks like this bike may have been featured on RSBFS awhile back, but with some parts swapped over to a different bike in the same owner's collection. Regardless, there have been no takers yet at the $6,000 opening bid, and there's just one day left on the auction. 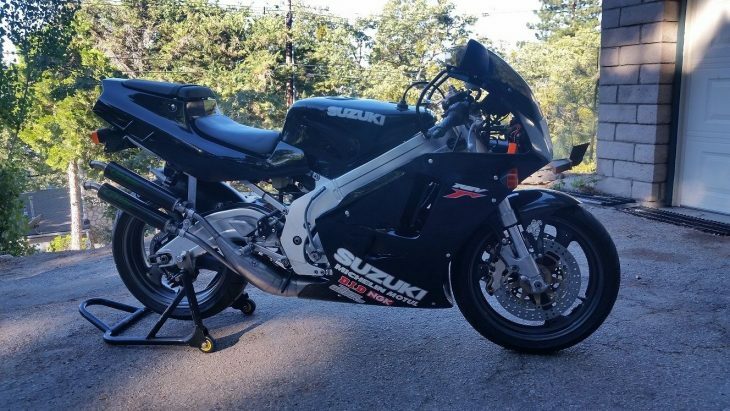 Certainly, that seems like a reasonable price for a solid, running RGV250, but the bike's questionable legal status and lack of originality may be putting off buyers. 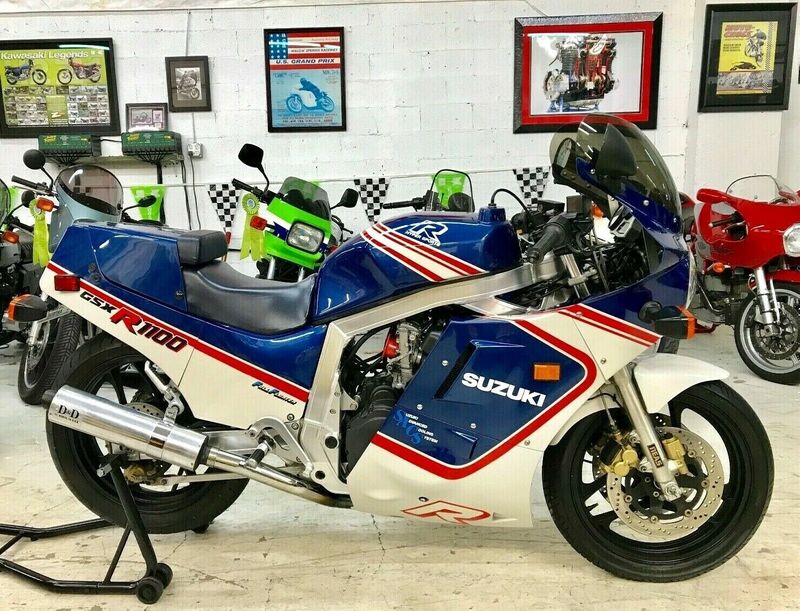 We've seen some quick sales of great examples late in the season (check out this ZX750M1 that sold in two days for $18k) and this RC30 in California could fit that bill as well. 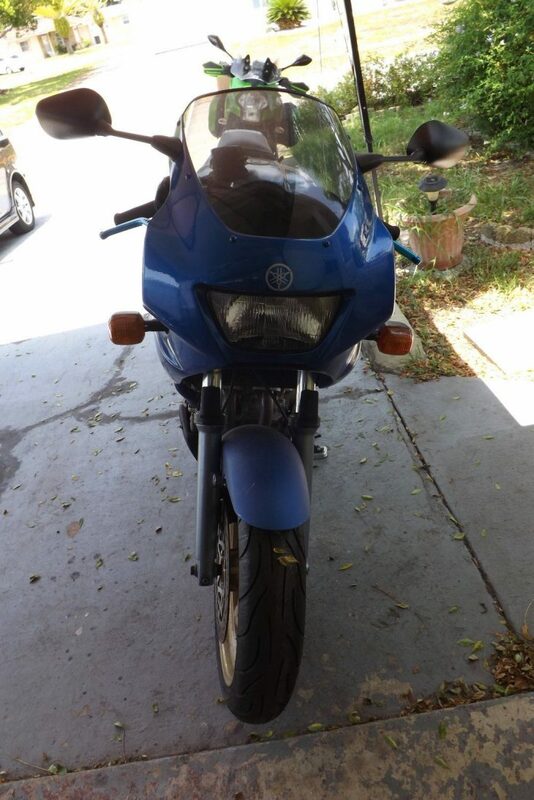 It is advertised with less than 10k miles and the opening bid is $22k reserve not met. 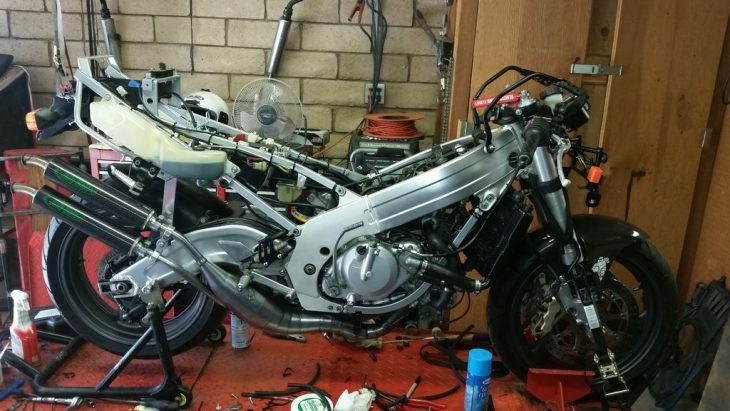 Where do you think this bike will end up? 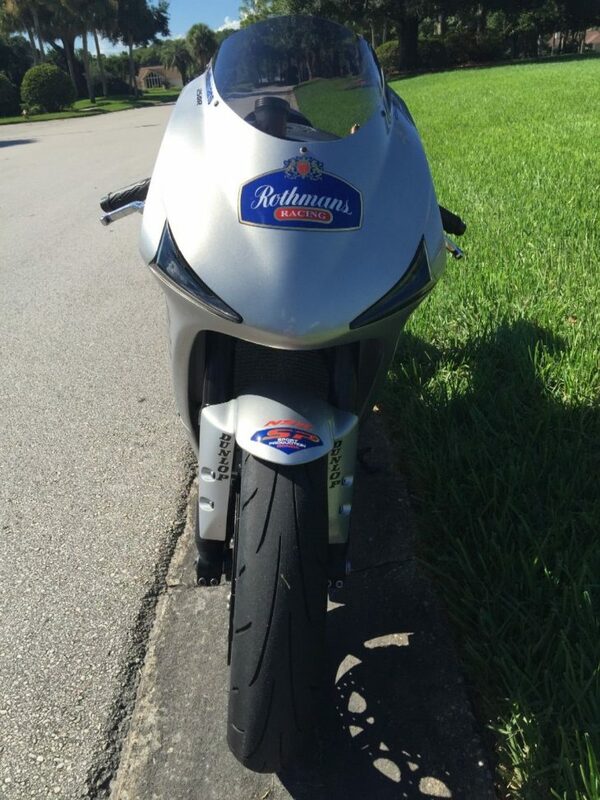 If you are looking for one of these, no explanation is required how rare and exotic this motorcycle is. hand built one by one and imported 300 only to state. She is in beautiful condition. 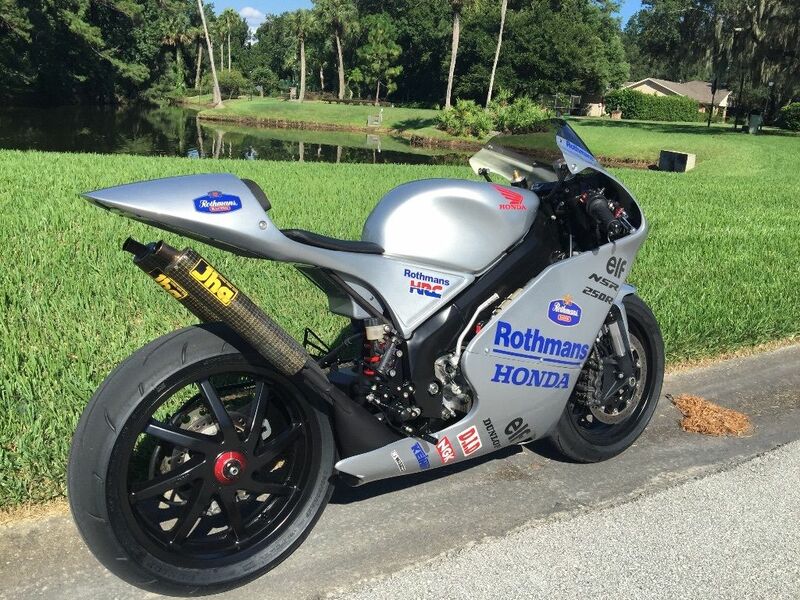 She has Micron exhaust but comes with stock exhaust and bottom fairing in pristine condition as well. 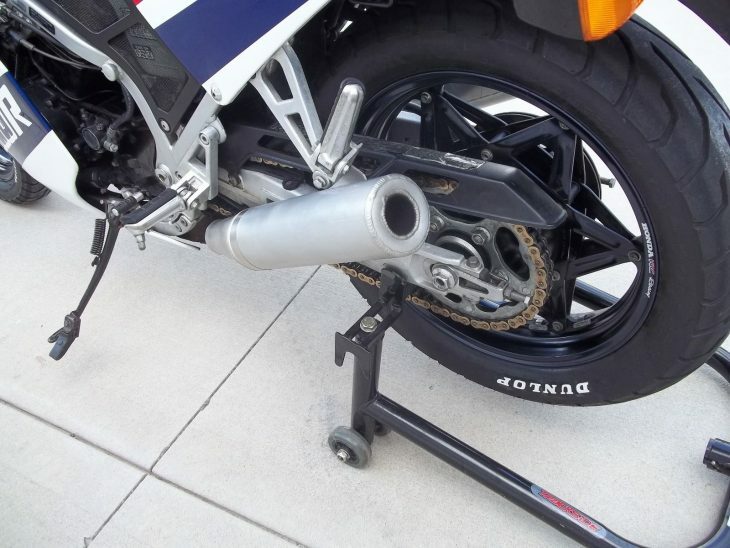 Rear wheel stand is also included. I have couple of boxes of NOS and extra stuff to go with. Only thing missing is the factory tool kit. I will only accept cash or bank transfer for payment. She is a 49 state bike. 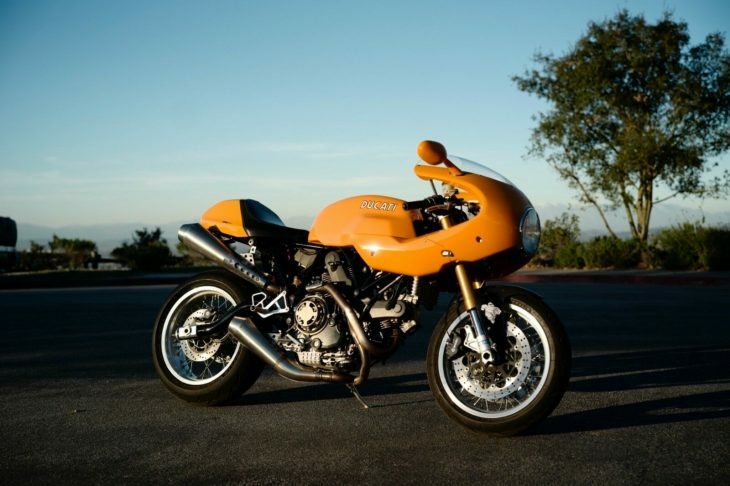 To stimulate interest in their flagship F4 that saw only occasional updates, MV Agusta trotted out a seemingly endless series of special-edition bikes with the usual collectors-only price tags, wild horsepower claims, and extremely limited production numbers. 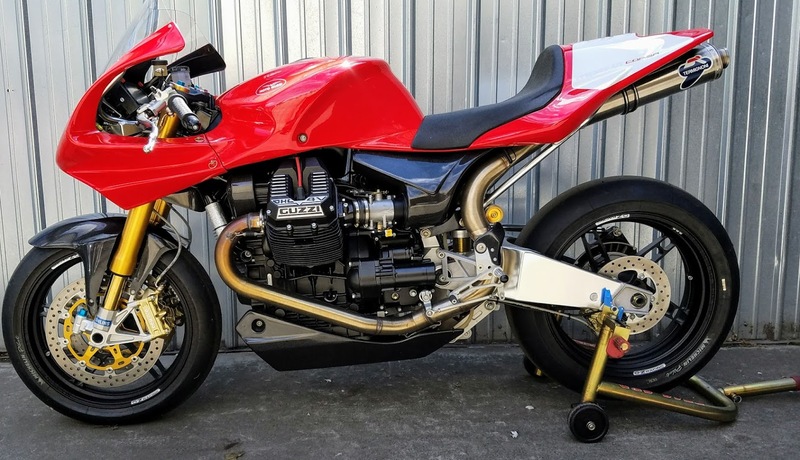 Certainly, today’s F4 1000 Veltro Strada counts as rare: just 99 were built, along with 23 of the track-only Pista version. 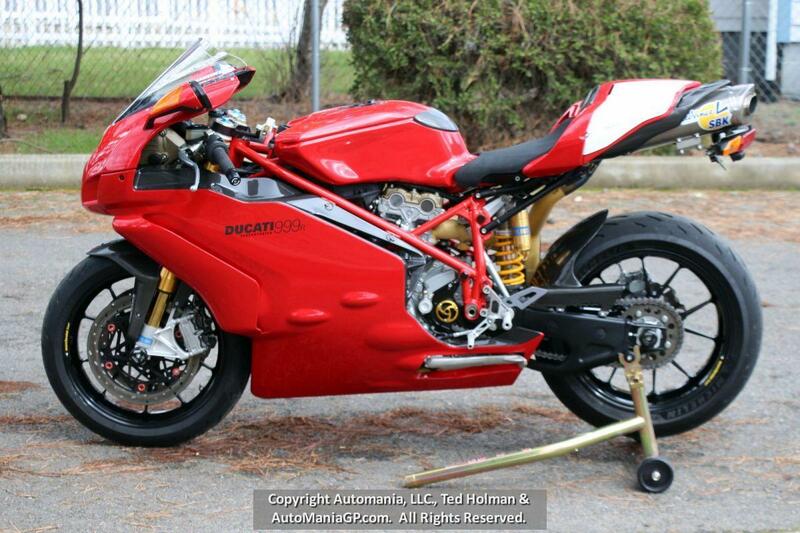 The Strada included carbon fairings, tail piece, airbox, fenders, air-ducts and so on. The frame side plates are magnesium instead of aluminum. 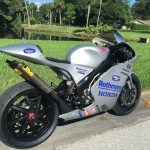 The Pista version also included a lighter frame, oversized radiator, a carbon-fiber fuel tank, and a magnesium triple clamp and swingarm. 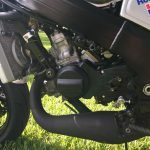 It was powered by MV’s 998cc, radial-valved, inline-four that, in this version, produced a claimed 174hp, or 185 with the “race-only” titanium exhaust fitted. 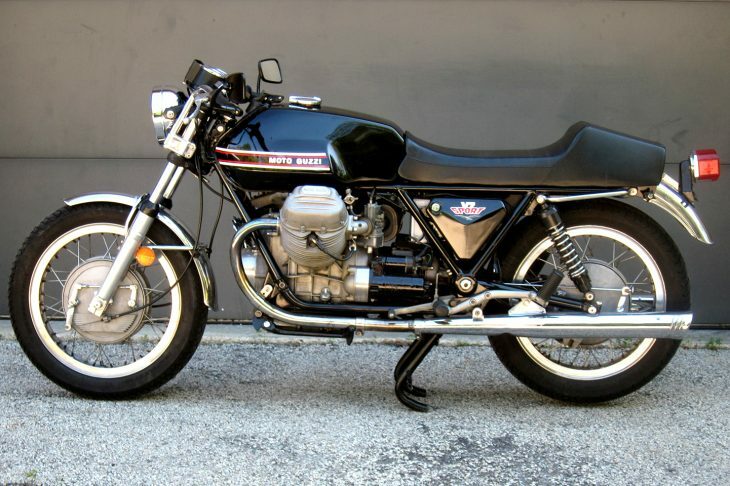 The Veltro Strada was, to my knowledge, never imported to the USA: this one is for sale in the UK. 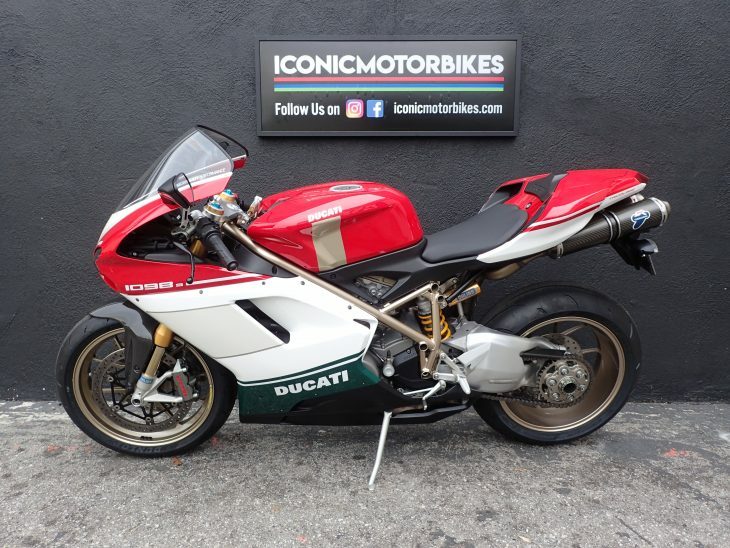 Considering these went for around $72,000 new, the approximately $80,050 USD asking price might sound reasonable for such a rare, exotic machine at first, until you consider that even very limited-edition MVs are going for relative peanuts right now here in the USA. If you’re a collector, this kind of thing might make sense. For the rest of us? The “regular” F4 1000 offers up the same exotic looks for 1/7th the money, with the only penalty being a few more pounds and a couple less horses you probably weren’t using anyway. 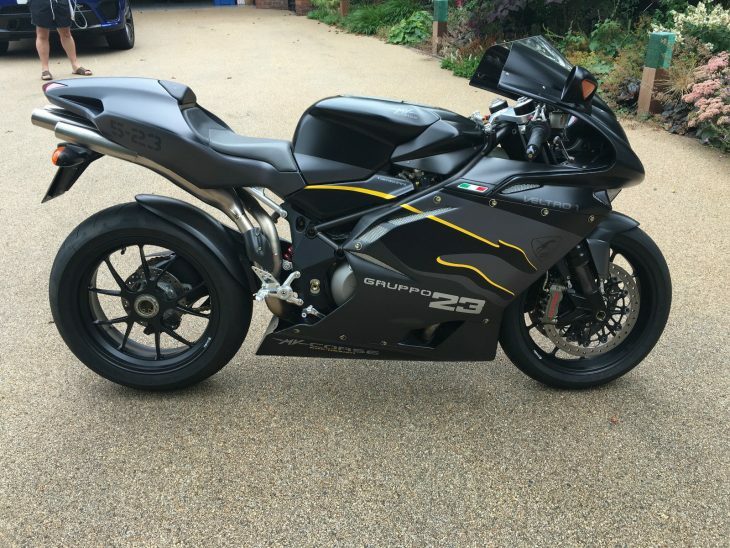 This is an exciting and rare opportunity to acquire a mint condition MV Agusta F4 1000 Veltro Strada Sports Bike - 1 of only 99 ever produced worldwide!! 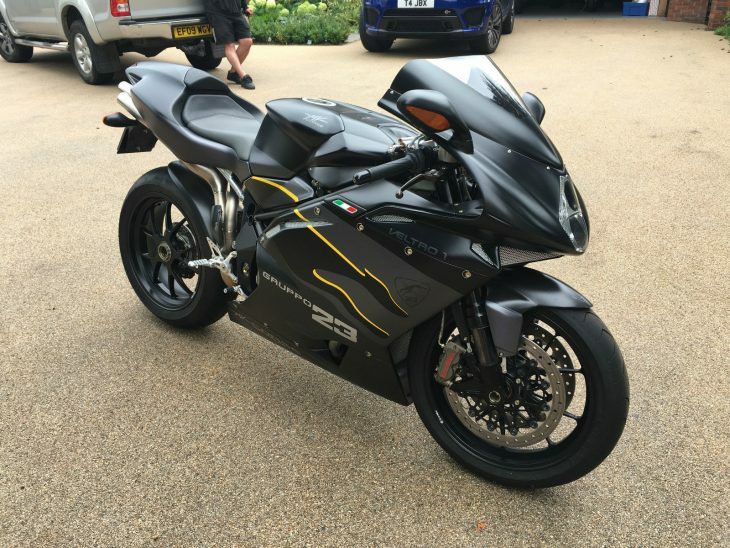 This super bike is in 'As New' condition with only 175km/ 100 miles approximately on the clock, and is being sold complete with MV Agusta unused titanium exhaust system, MV Agusta race fairing and MV Agusta race helmet. 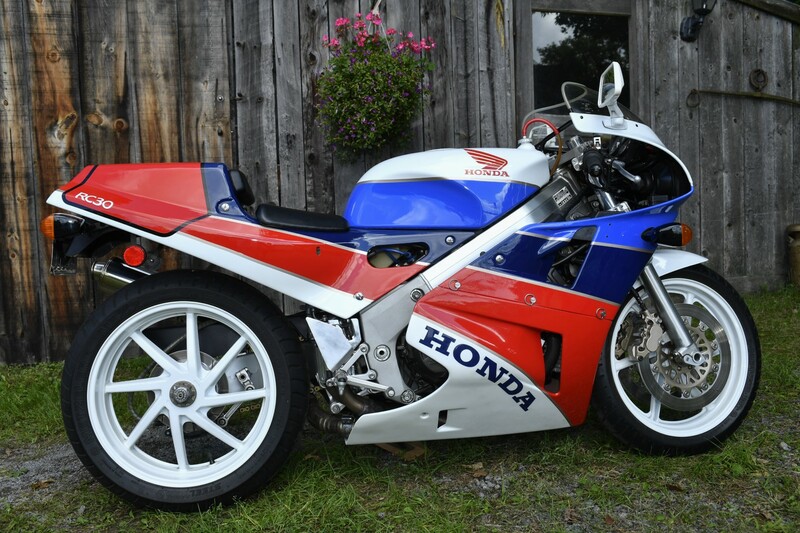 This collectors superbike would not look out of place being displayed within your home or as part of a vehicle/bike collection. 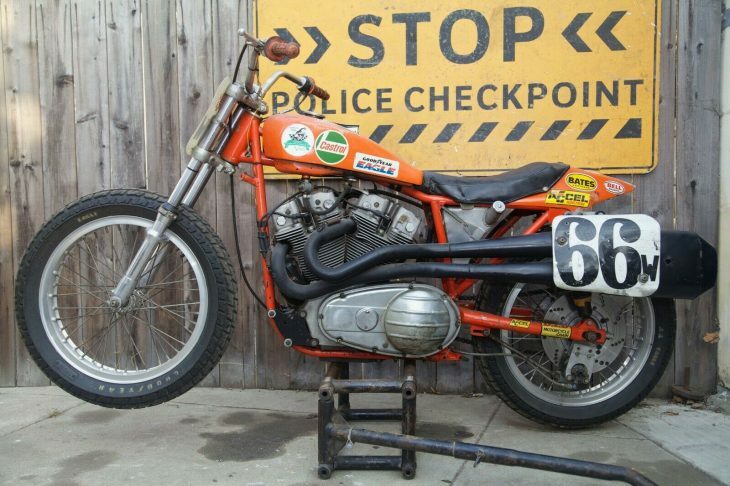 The Veltro Strada motorbike is the road legal version of the Veltro Pista, and only 99 of this model were every manufactured making it an excellent collectors item. The Strada features carbon fibre bodywork and fixtures, machined aluminium steering head and foot rests, Brembo superlight wheels and unique matt black paintwork/graphics in the style of a WWII Italian fighter plane. 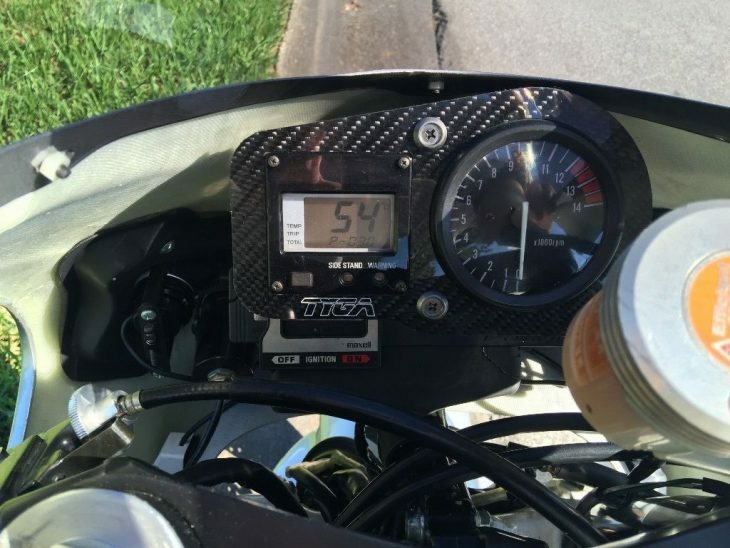 It's top speed is listed as 190+ mph and features 185hp @ 12,000rpm. 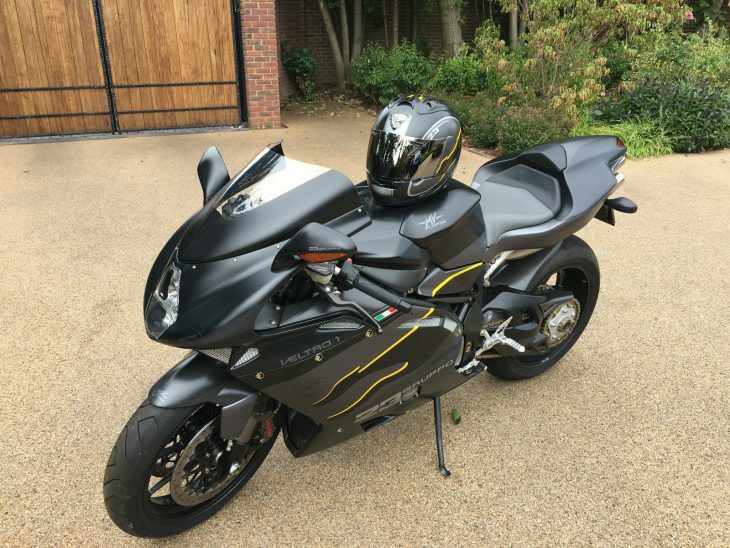 Viewings are more than welcome on this rare motorcycle from serious purchasers. Vehicle location is within the London area, United Kingdom. 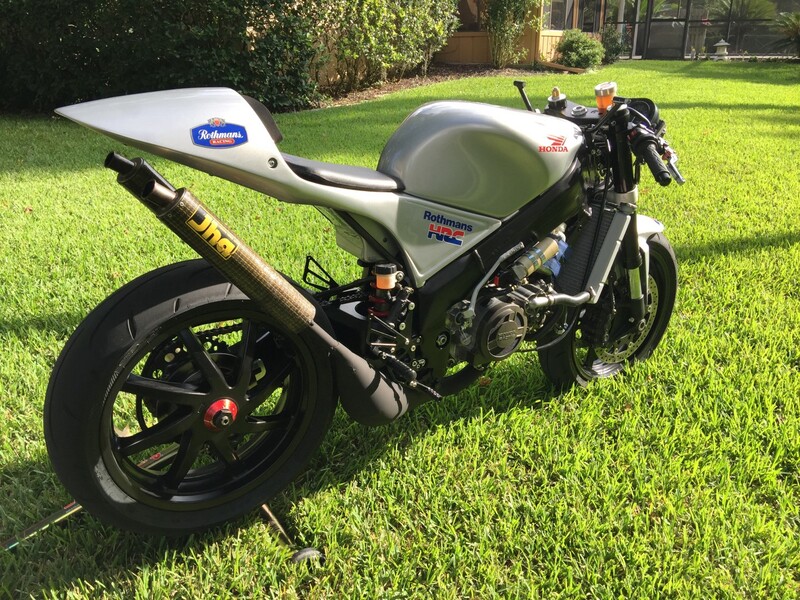 The popular conception of homologation specials is one of thinly-veiled racebikes, competition bodywork with a couple holes cut in it for headlights, close-ratio gearboxes, and racebike power just a remap/rejet away. The reality is sometimes far less exciting. 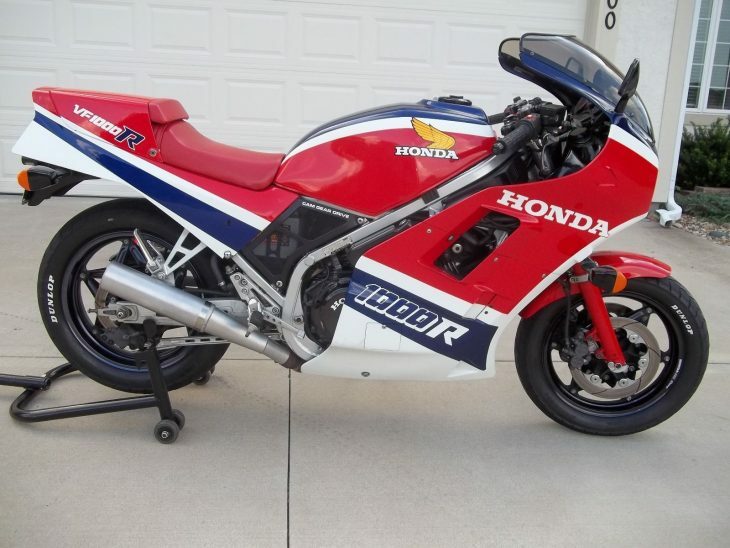 Sure, the Honda VF1000R may look like an endurance-racing bike with lights, but at a portly 600lbs with fuel, plenty of other bikes of the period could show it a clean pair of heels. 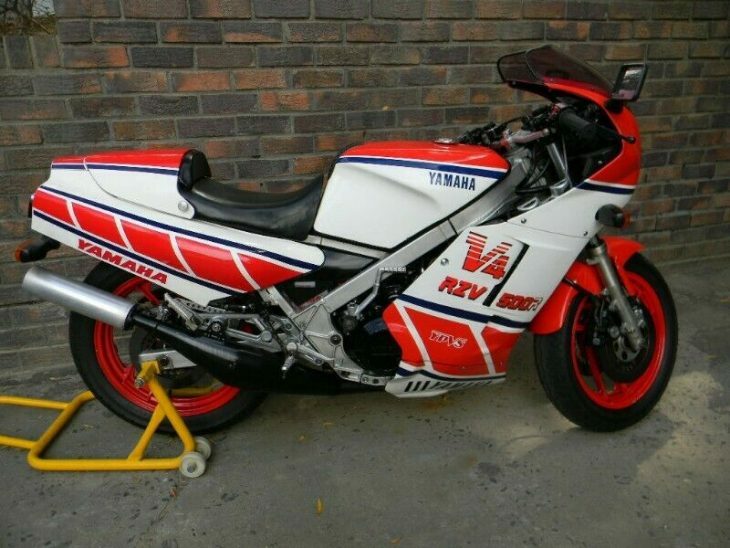 Ultimately, the bike was a bit of a misfire as a performance machine: it was just too heavy and offered no real advantage in terms of power or handling over the more common VF1000S. 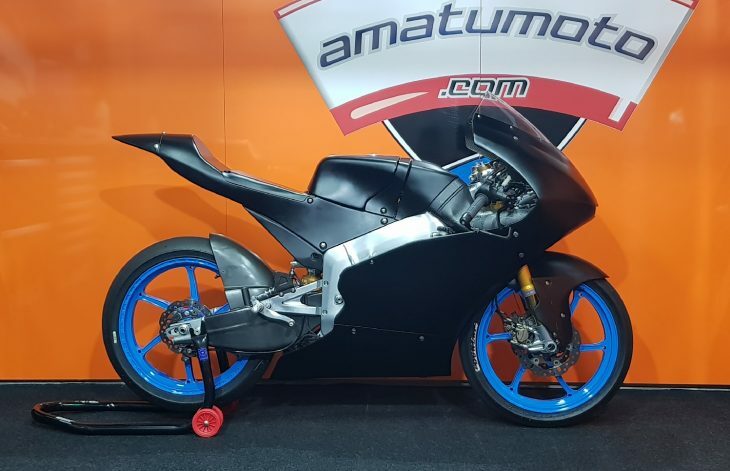 But that wasn’t really the point, since an homologation bike is mainly designed to include specific components so that those same bits can be utilized by production-based racing teams. 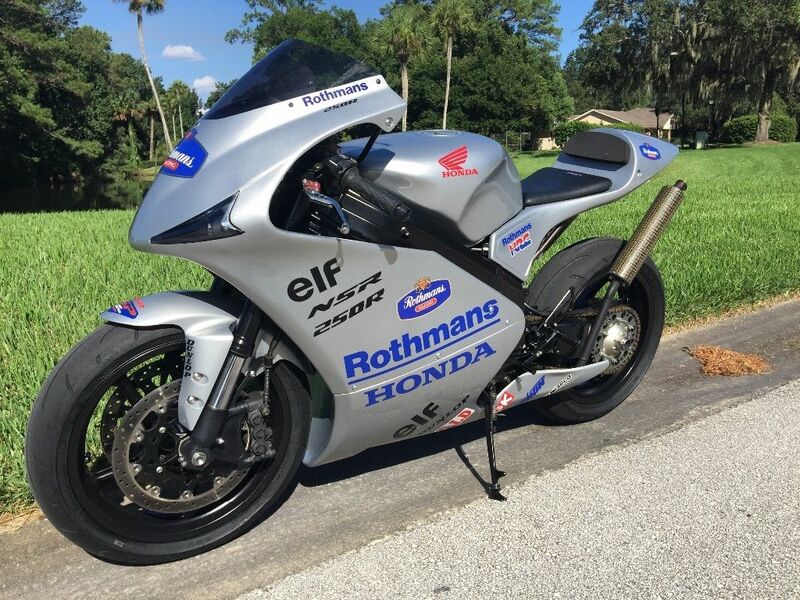 And anyway, the same criticisms could be leveled at both the RC30 and RC45: out of the box, they were incredibly exotic, but some fast guy on a standard GSX-R750 could probably take your candy. 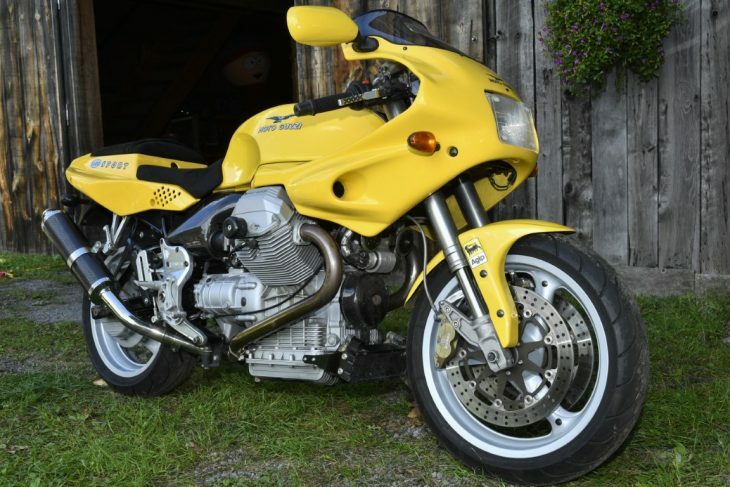 The VF1000R's 998cc V4 ditched the S-version's cam chains and replaced them with a more precise gear arrangement, something that eventually became the V4's distinguishing characteristic. 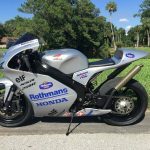 It made a claimed 117hp and the slippery fairings allowed a near 150mph top speed, while Honda's Torque-Reactive Anti-Dive Control meant cool acronyms and improved manners under heavy braking. 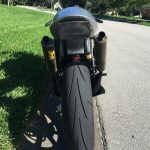 Wheels are often overlooked and considered pretty unremarkable on a motorcycle: they're round and covered with sticky, black rubber things. But as the point of contact between the bike and road, they're critically important components. 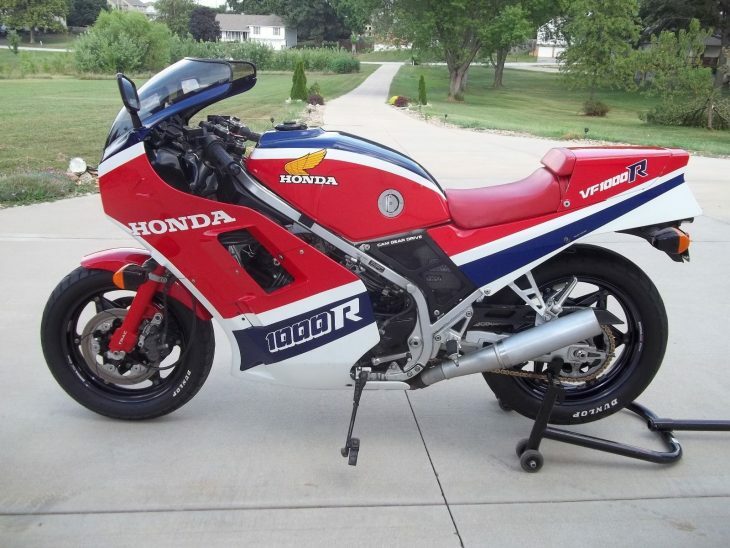 In the VF1000R's case, they were Honda's modular Comstar wheels and came with radial tires, something very new to motorcycles at that time. 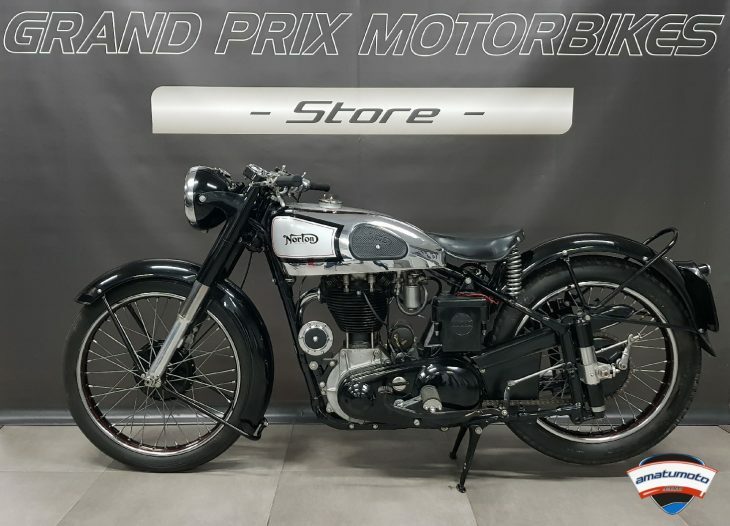 Axles were clamped in place with a quick-release system, the rear brake disc was vented, and the bike featured adjustable bars to help set the bike up for the rider's individual preferences. 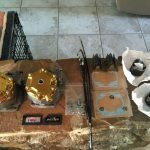 Obviously, many of those parts serve no real purpose on a road bike, except to admire for their innovation and craftsmanship, or to brag about at your local bike meet. 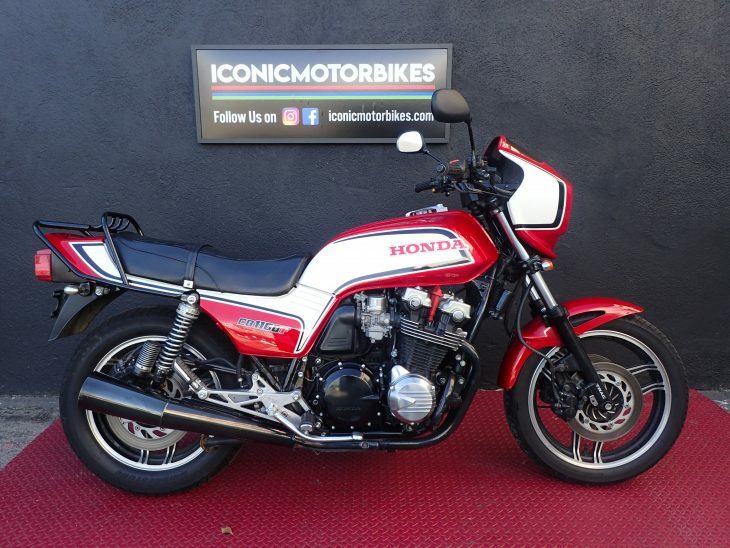 Today's example has low miles, appears to be in excellent condition, and features the desirable dual-headlamp setup often missing from the 1985 bikes: worried that it wouldn't pass federal regulations, Honda developed a simpler, single rectangular unit often seen on these bikes. 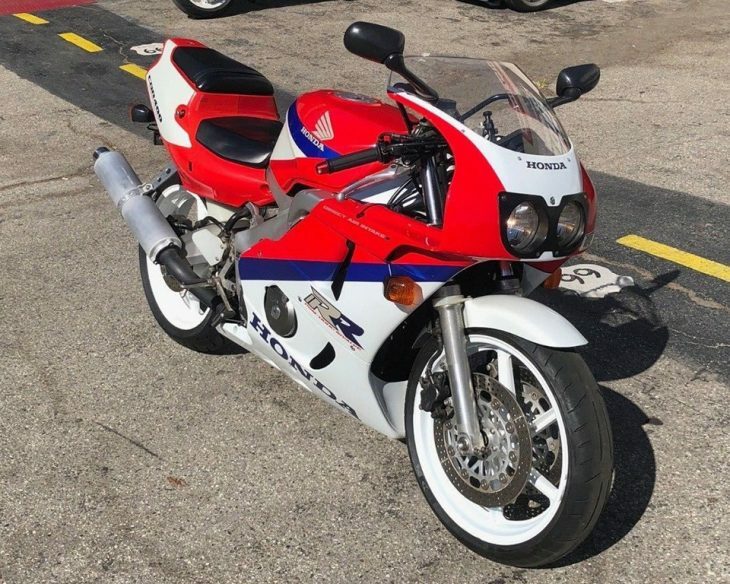 Not perfect, but a very, very good original survivor condition 1985 Honda VF1000R of sufficient quality that that it won its division at a large AMA sanctioned/ judged show (see below). It was originally purchased new in Indiana. 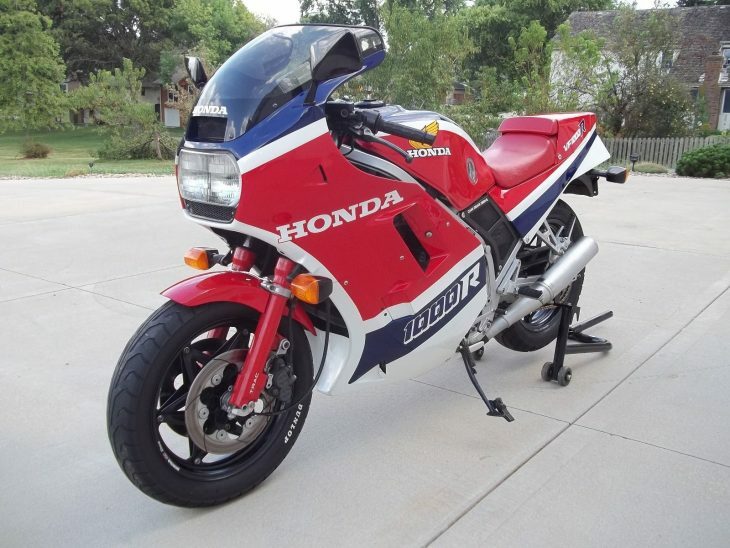 The 2nd owner purchased it in 1990 with about 5000 miles and eventually moved it to Kansas City. 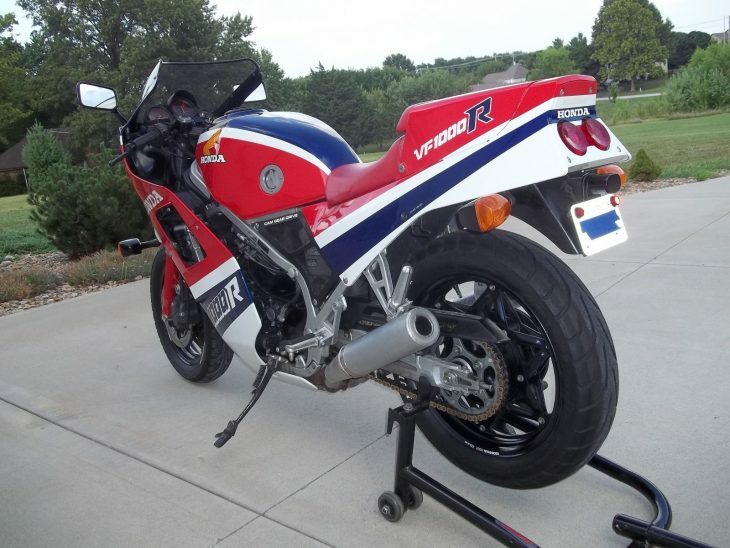 I purchased this VF1000R from the 2nd owner in 2012 with 10,077 miles. In 2012, I rode to one of the largest motorcyle events in Kansas City - The 20th Annual (and final) "Ralph Wayne Backyard Nationals". 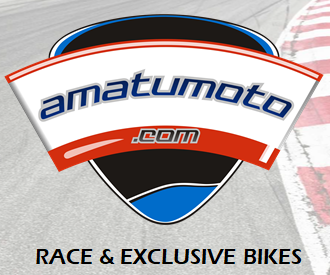 It is an insane confluence of two-wheeled wonder that includes thousands of bikes including Ariels, Aprilias, Vincents, Victories, Hodakas, Ducatis, Gammas, RZs, BMWs, Harleys, R1s, CBRs - you get the picture. 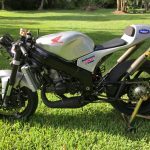 There is a tent in Ralph's back yard that only holds about 30 of the most unusual and/ or outstanding bikes at his event. 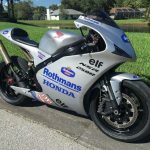 When I got there, one of the marshals waved me to the tent and this VF1000R was the only Honda under the tent that year. 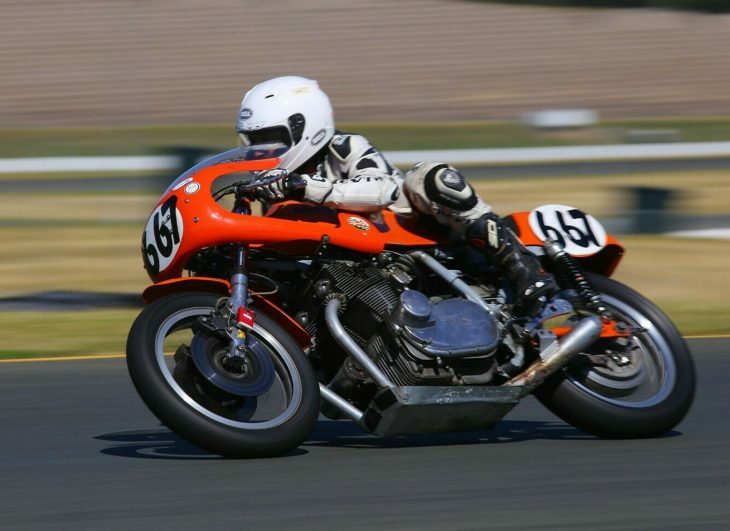 In 2013, I entered this bike in the Clymer Manual Sponsored, Heart of America Motorcycle Enthusiasts (HOAME) Vintage Midwest AMA sanctioned and judged show. 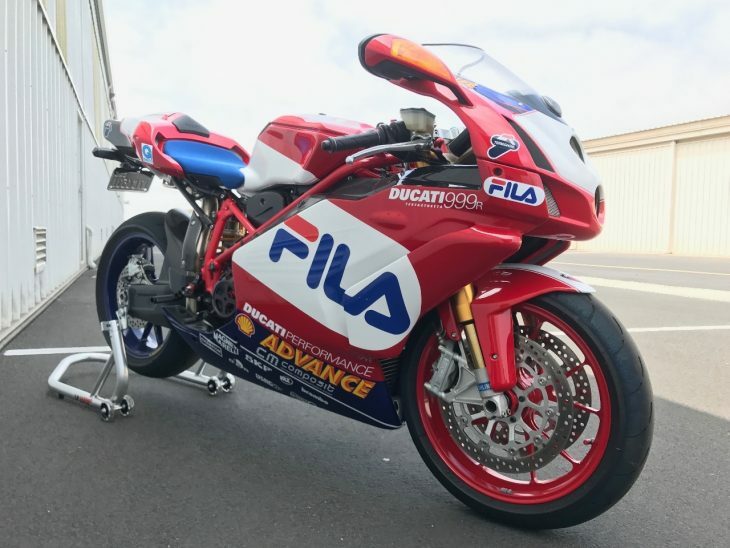 This a huge regional show and this VF1000R won the "Best Modern Superbike "Division. 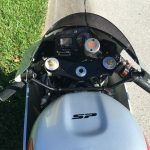 Several of the AMA judges asked me if I still rode it (by looking at the tire wear patterns). 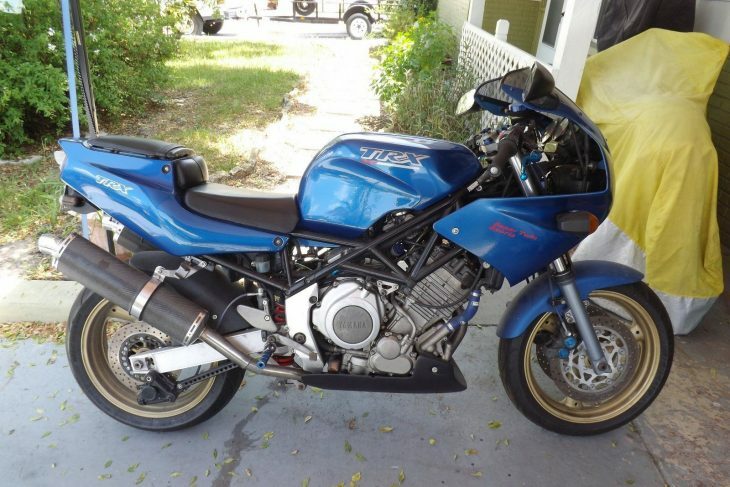 I responded "yes" and they expressed mild amazement that a bike this nice would still be ridden regularly. Clymer posted a video they took of this bike at the show on Youtube. 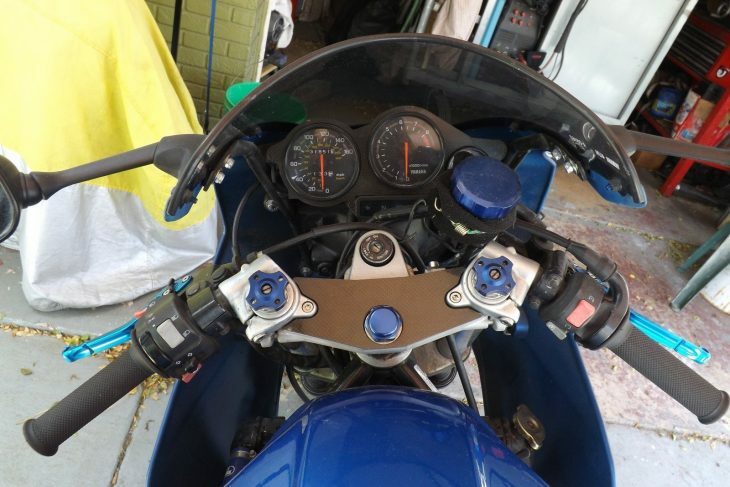 It can be viewed with key words "Clymer VF1000R". 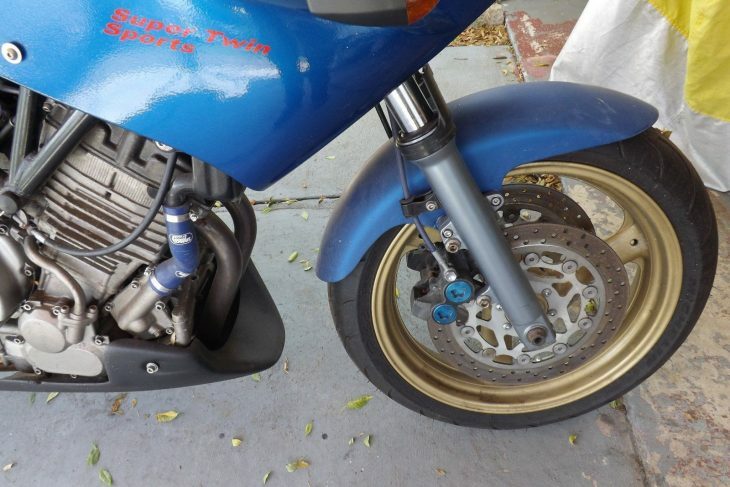 When I initially rode the bike home after the sale, the OEM fork springs were shot, causing the front end to dive and scratching the front fender and left/ clutch side fork tube with the left lower metal blinker mount. The scatches were touched up with correct, color-matched Honda "Fighting Red" paint. 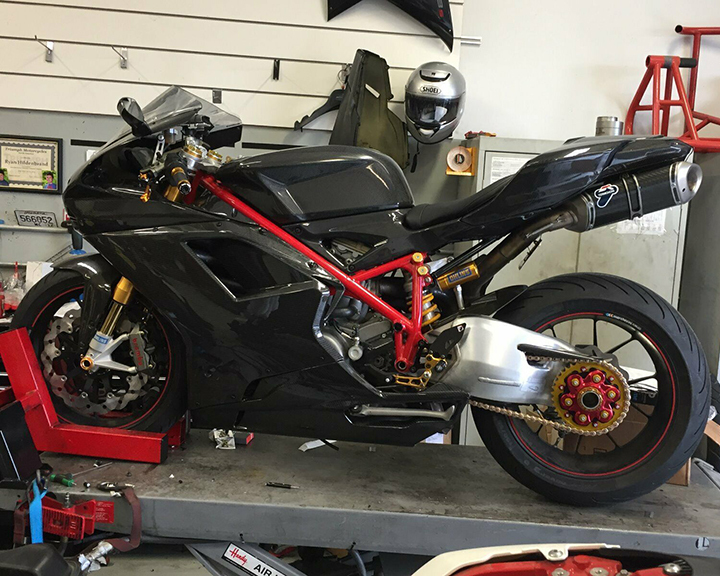 The worn OEM fork springs were upgraded with Race Tech 1.05 Kg/ mm single-rate springs with new seals and synthetic Motul fork oil. 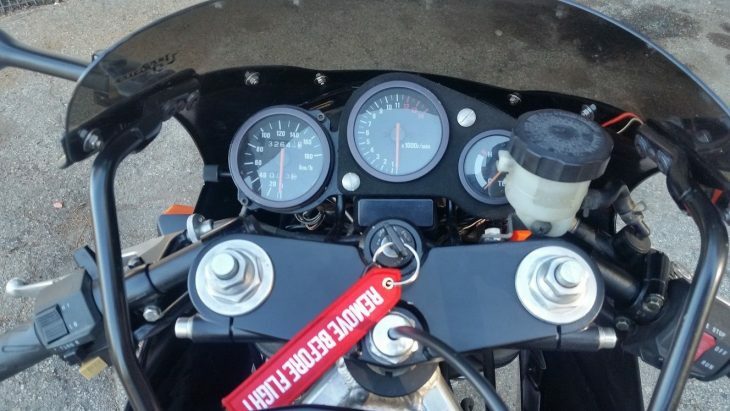 This fork upgrade dramatically improved front end tracking and feel. The OEM/ survivor carbon fiber backed bodywork was touched-up with correct, color-coded paint prior to above shows and apparently looked good enough to the judges to win. It has the optional (for 1985 models) endurance racing dual headlamp fixture that came standard on the 1986-later models. 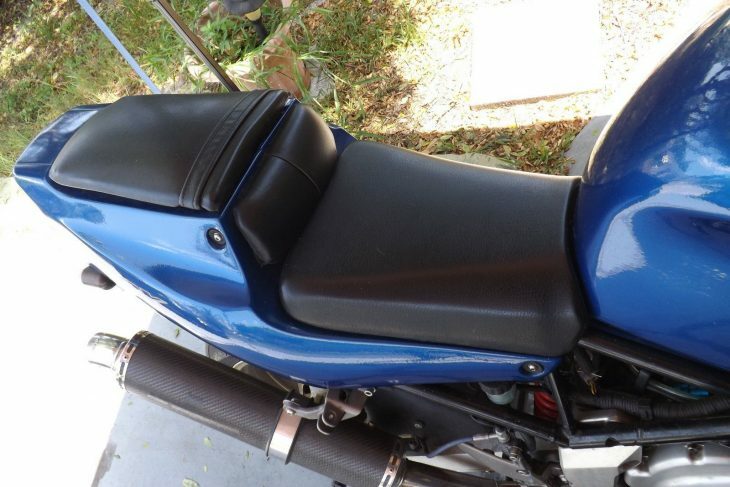 It was shown with the F1S aluminum mufflers as seen in the photos, but the bike also comes with very good condition original/ OEM mufflers that could easily be cleaned up and reused if you want to sport that "Big 80s Big Muffler" look. 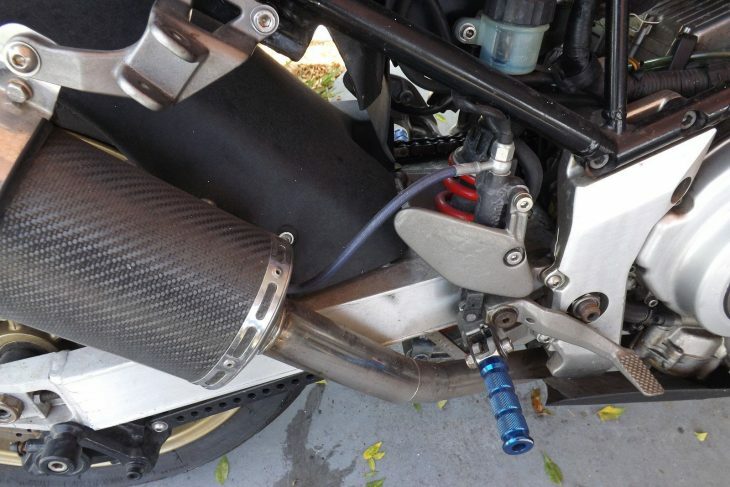 The F1S pipes on it now sound great. 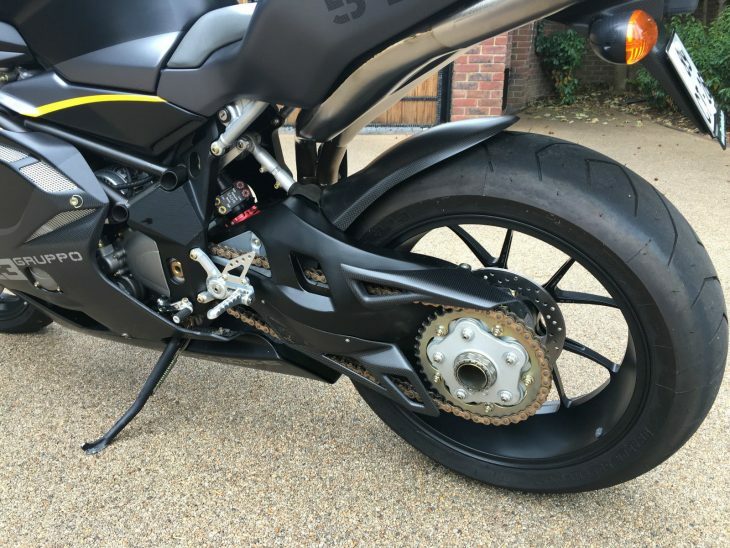 The OEM chain was replaced with RK X-Ring chain on the original/ OEM sprockets. Prior to my ownership, some brake fluid leaked onto the external clutch cover and damaged some of the paint on the lower edge. The damaged clutch cover paint has been colored with black marker. See photos. There are a few scratches on top of the original aluminum/ OEM/ survivor fuel tank. 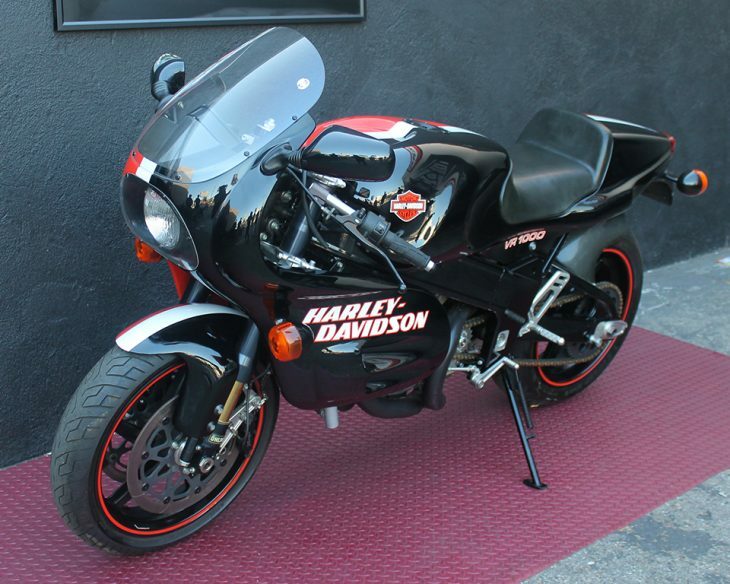 Otherwise the original paint looks deep and glossy except for minor/ normal mars on this 31 year-old survivor sportbike. I've enjoyed absolutely gawking at this very low mileage amazing condition VF1000R in my garage for the past 4 years and putting a few miles on it, but now it's time to pass it on to somebody who will hopefully enjoy it as much as I have. 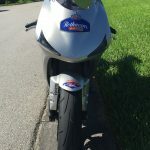 The seller includes a ton of information at the original listing and includes his personal history with the bike, a few minor cosmetic issues, and a listing of everything that was changed or updated, along with reasons why. 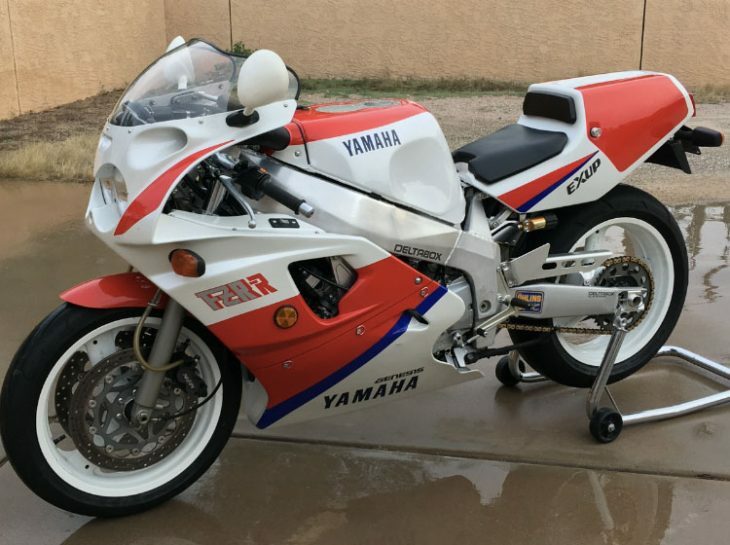 It’s pretty clear that the owner is an enthusiast, although the price is on the high end for these: the starting bid is just south of $7,500 with no bids yet, but plenty of time left on the auction. 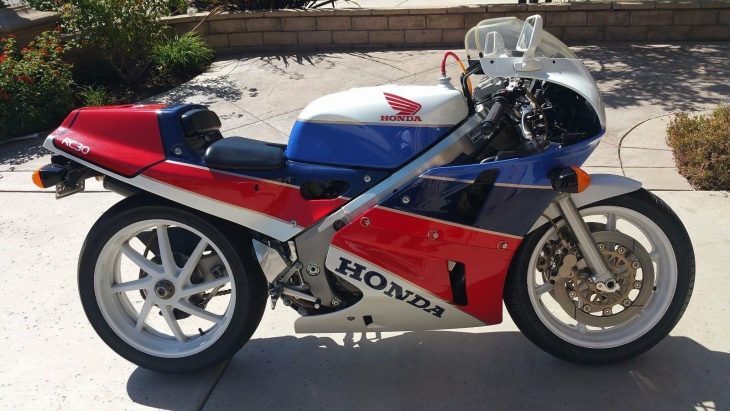 If you’re looking for a Honda homologation special and can’t spring for an RC30 or RC45, these are rare, feature exotic specification, and can still be had for relative peanuts. 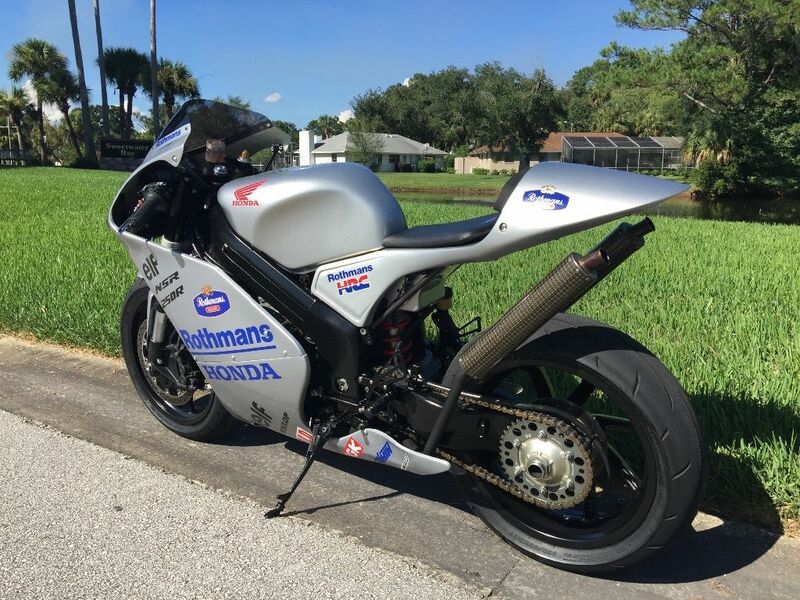 It's not, and probably never was a cutting-edge sportbike, but that just makes it more practical as an affordable bit of HRC history: something you can ride and enjoy, not something that needs to be stored away for alternate, sunny Wednesdays in June.